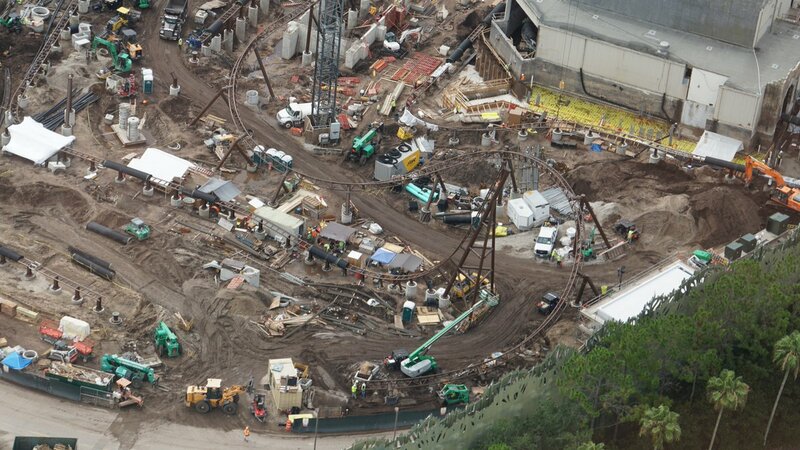 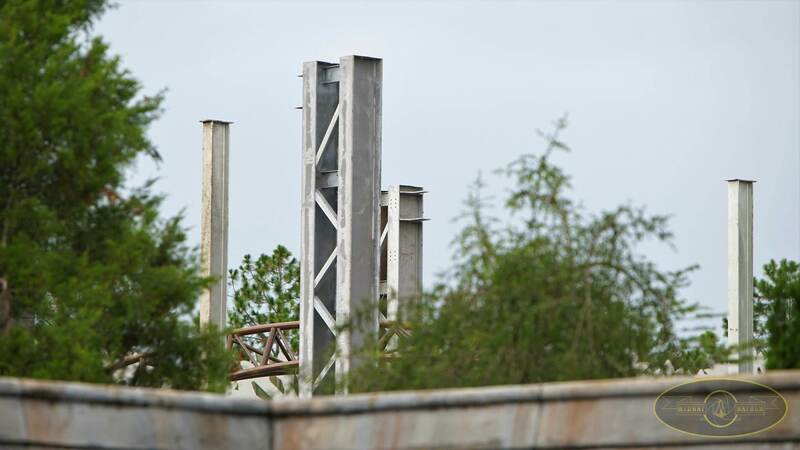 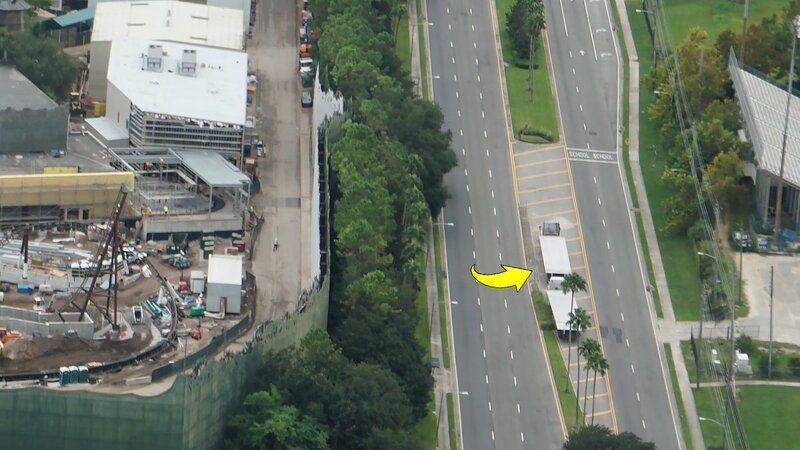 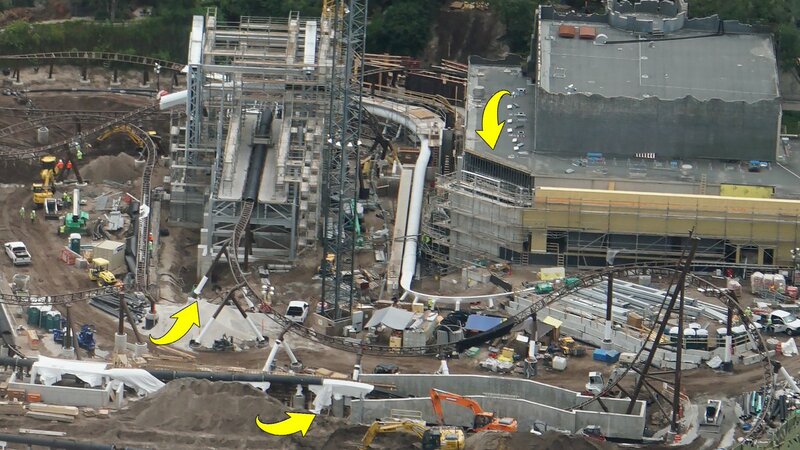 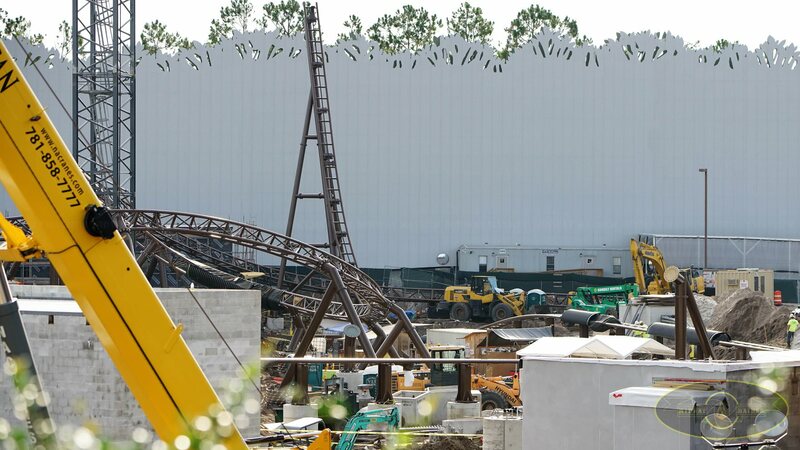 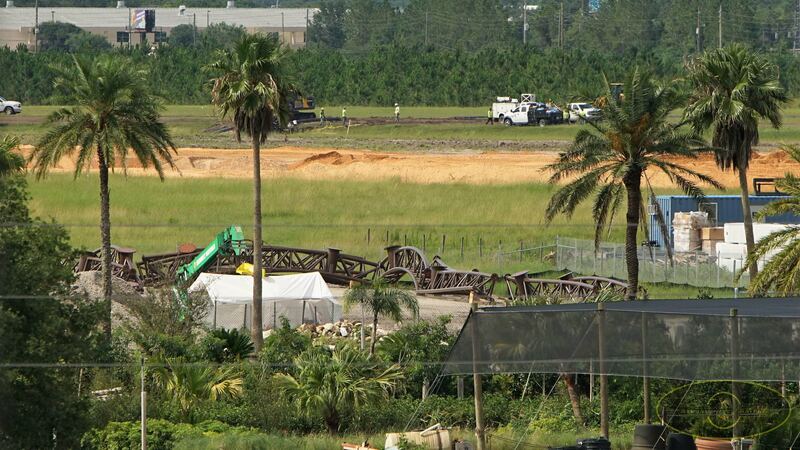 Interesting note: At the beginning of this video in particular, some markings have been discovered in the Jurassic Park area of the park for a potential now ride coming in the next few years. 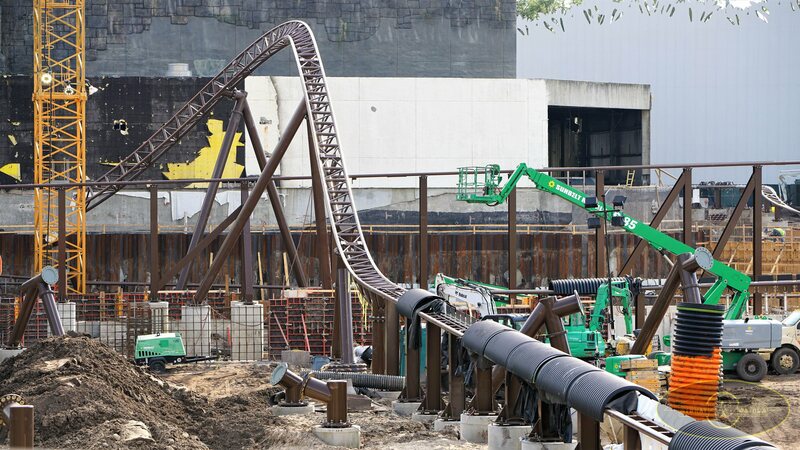 It could be a roller coaster. 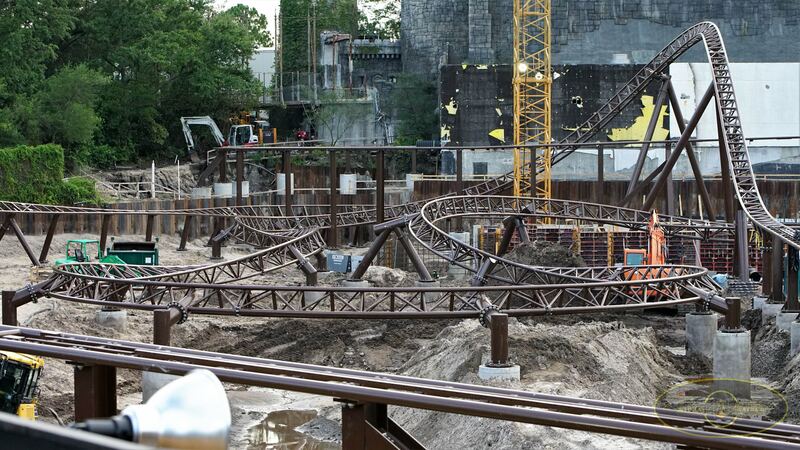 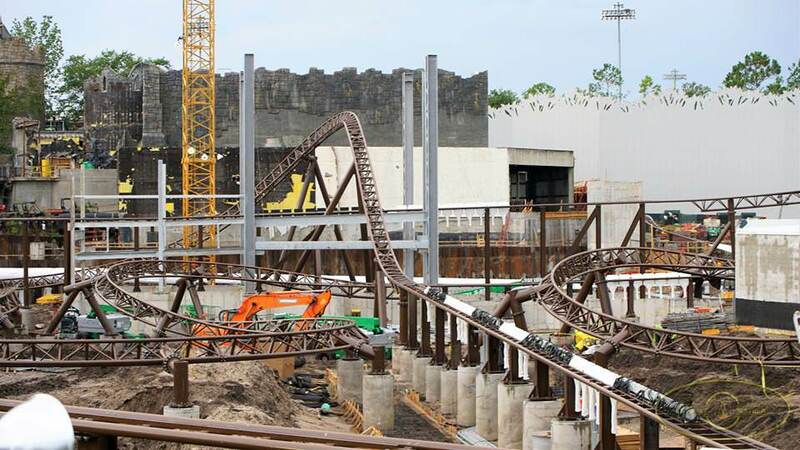 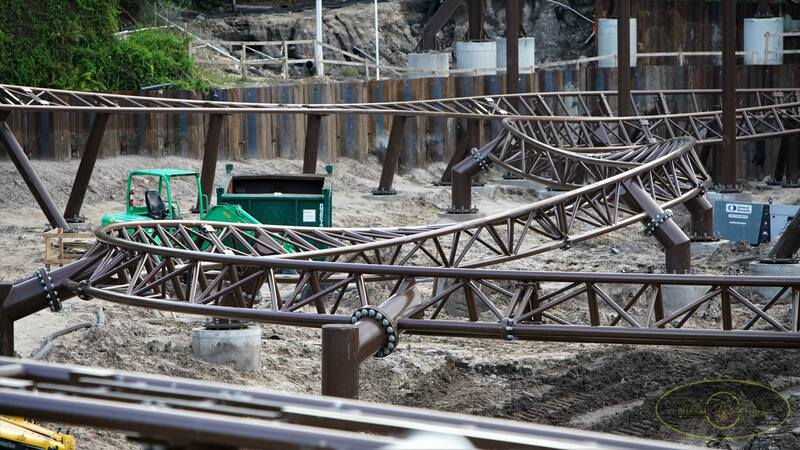 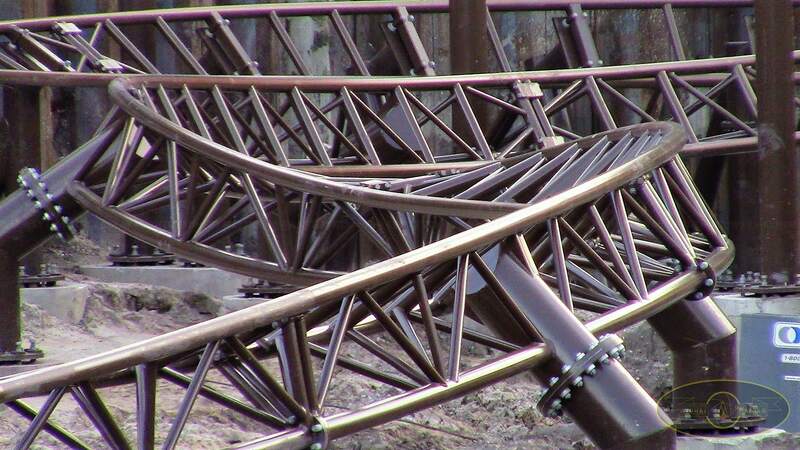 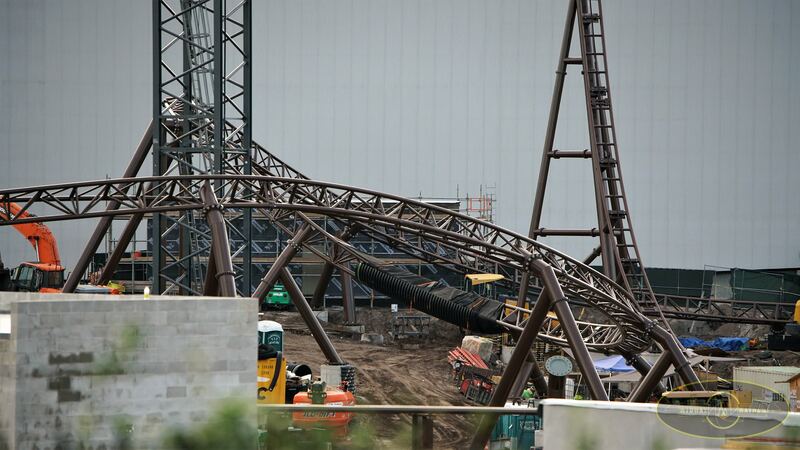 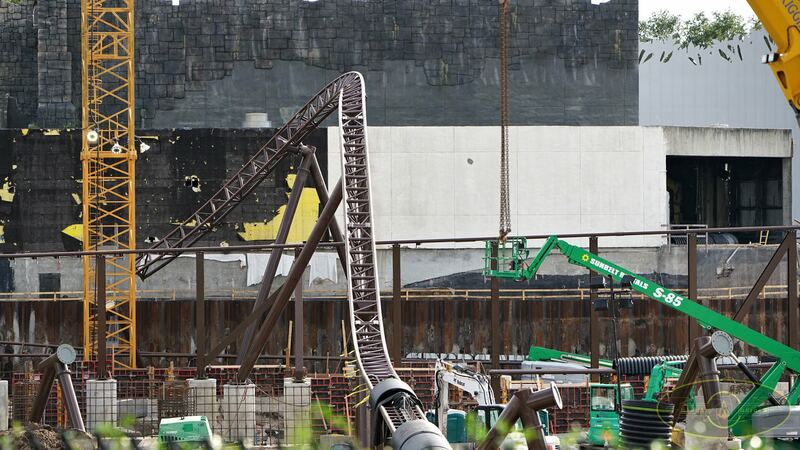 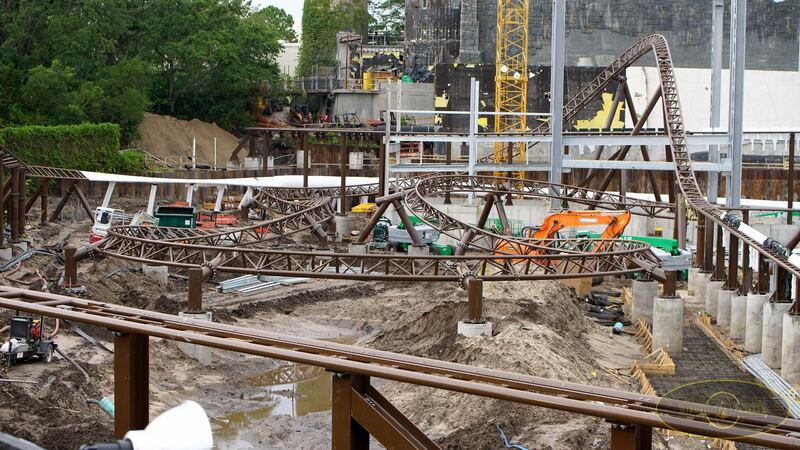 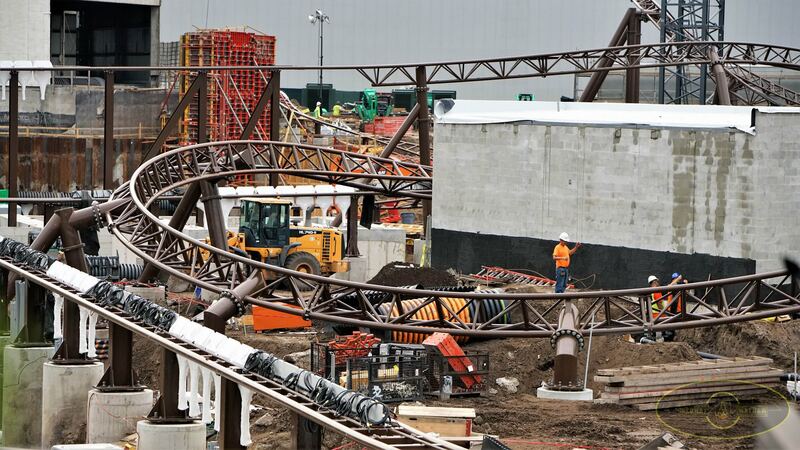 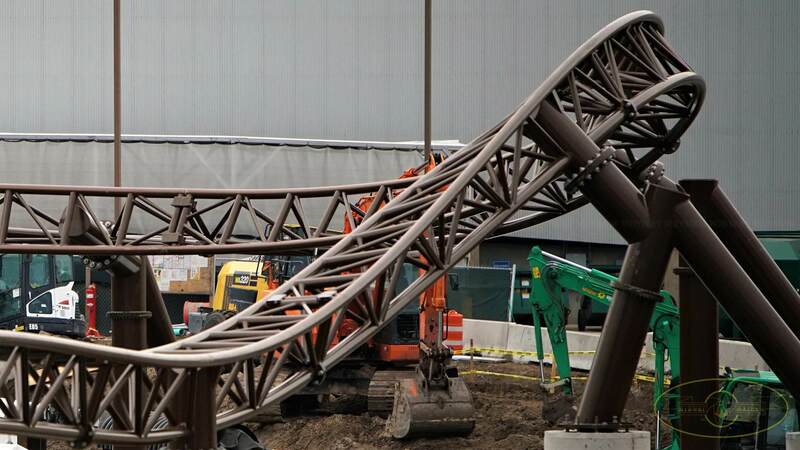 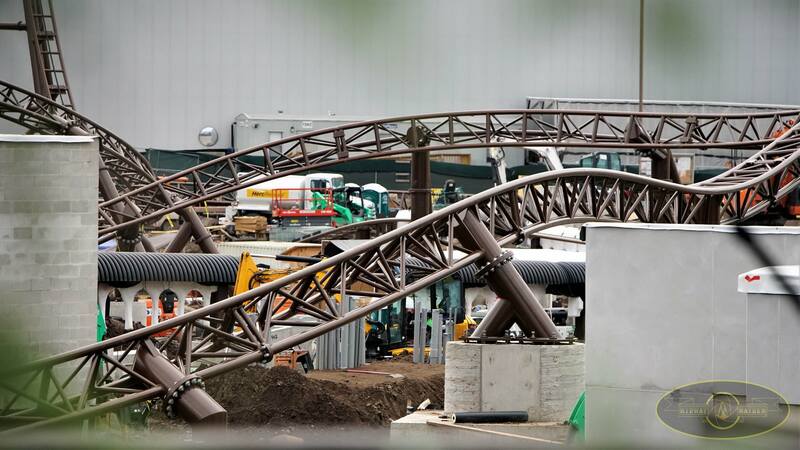 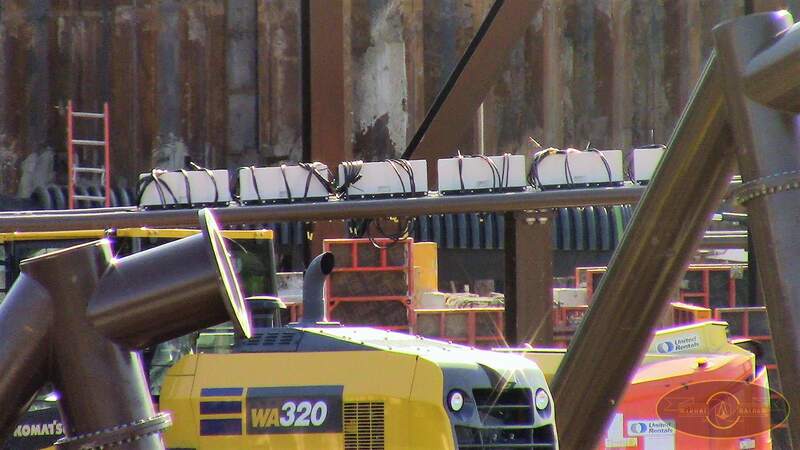 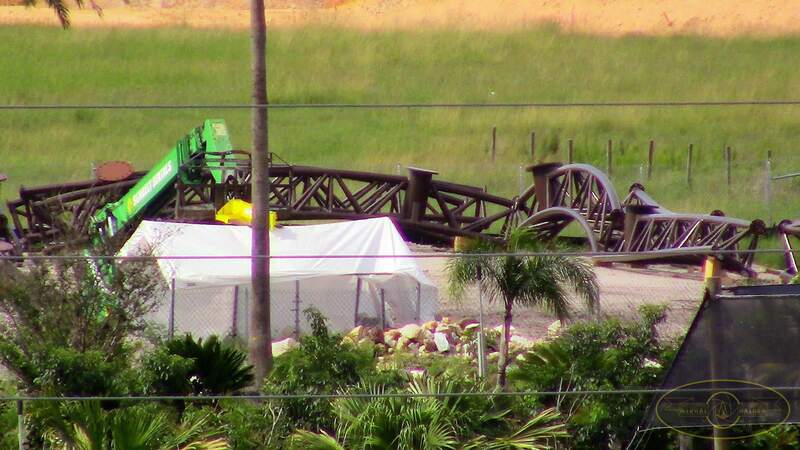 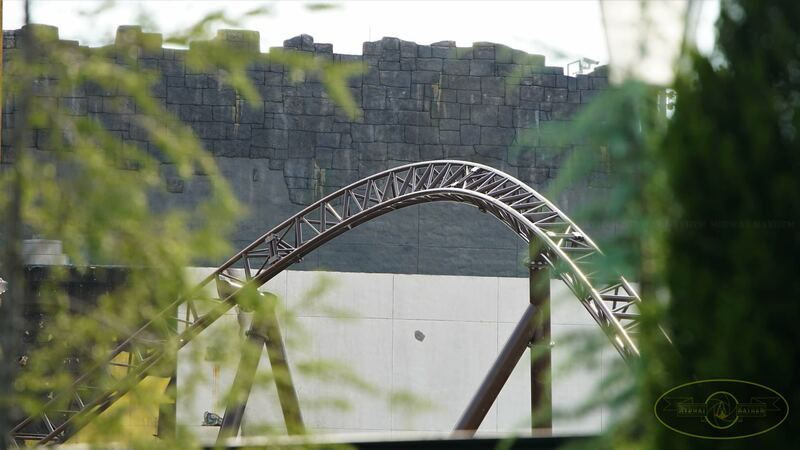 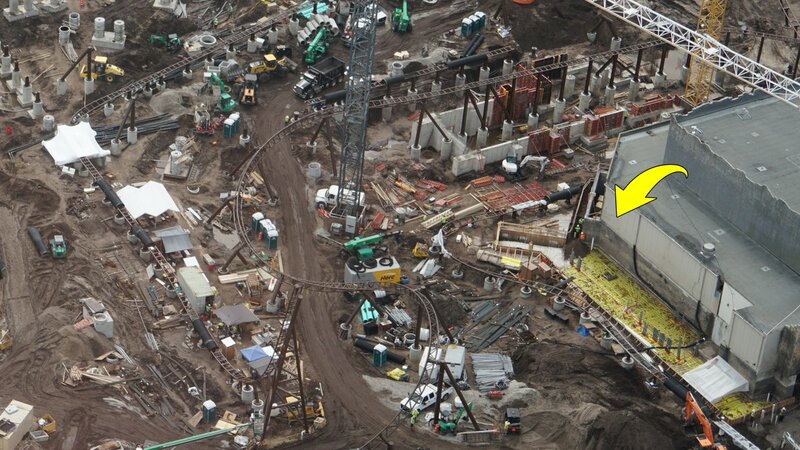 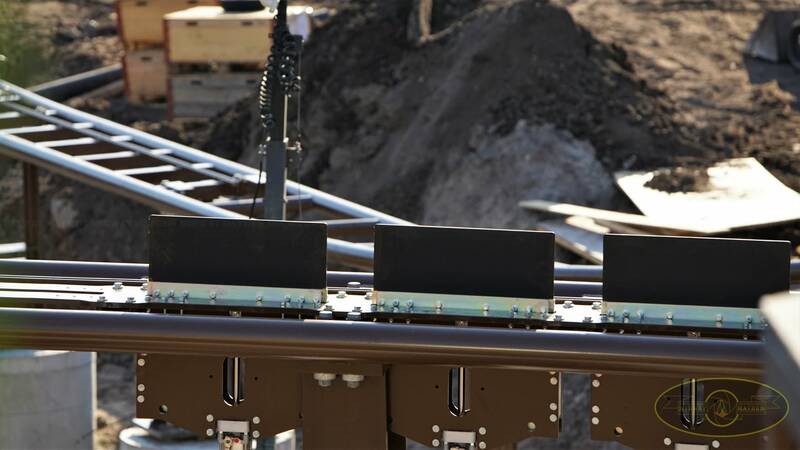 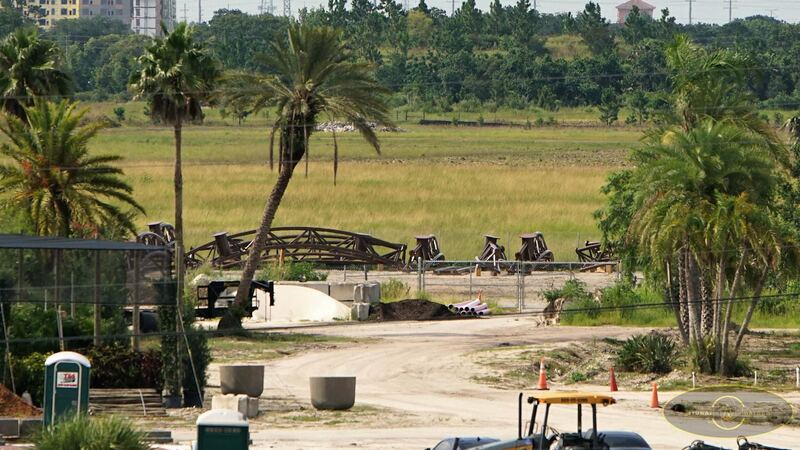 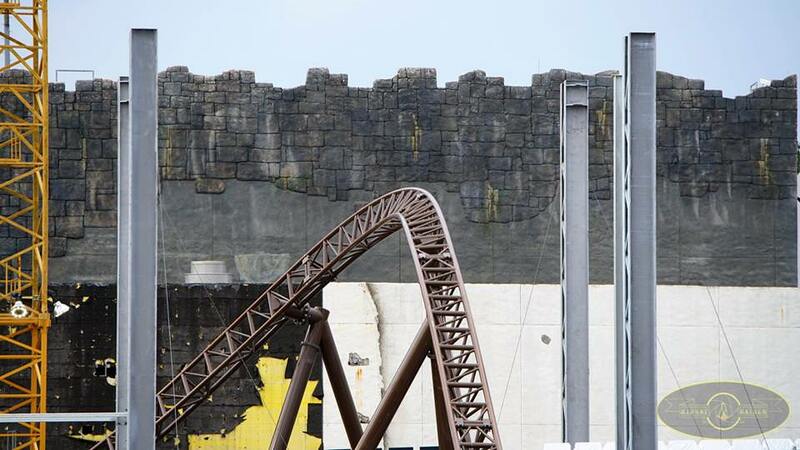 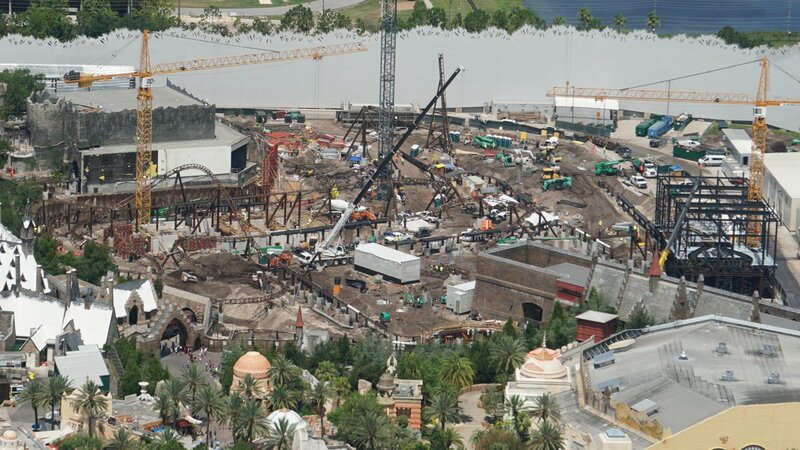 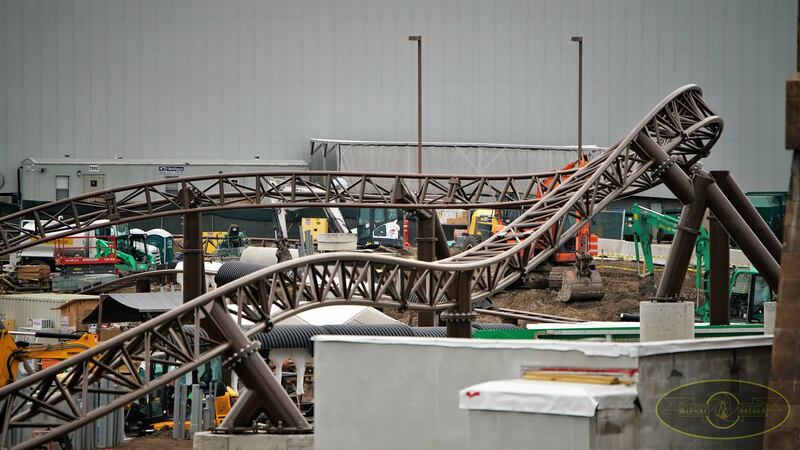 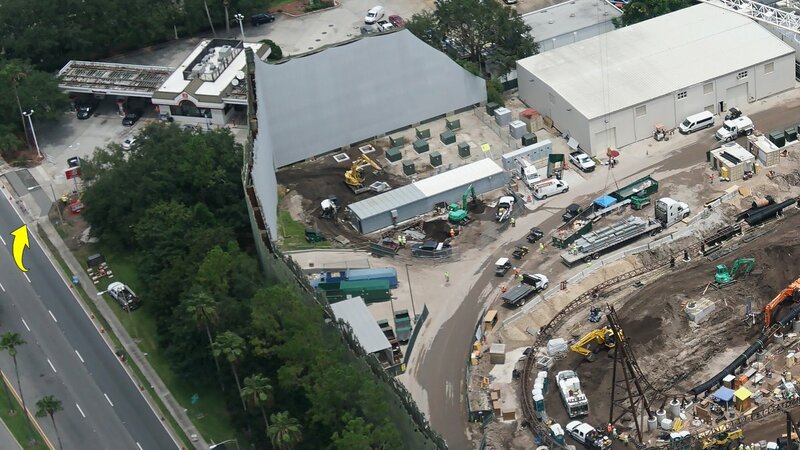 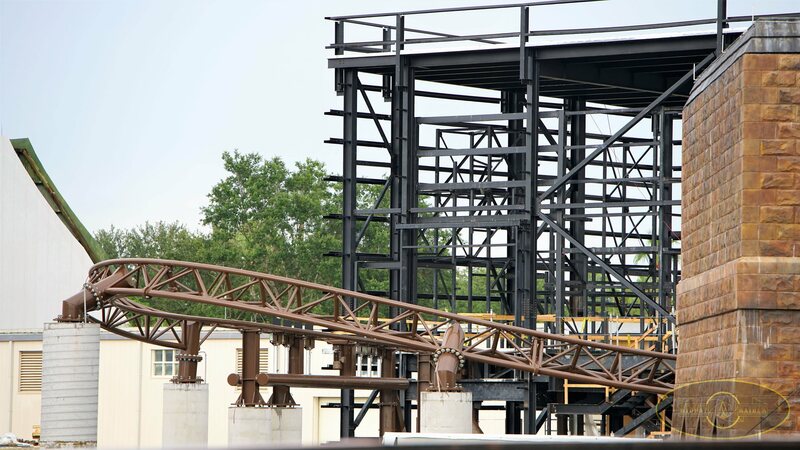 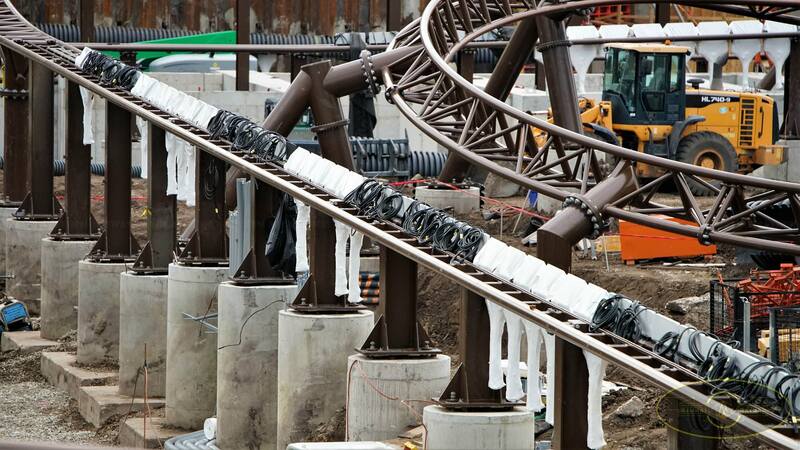 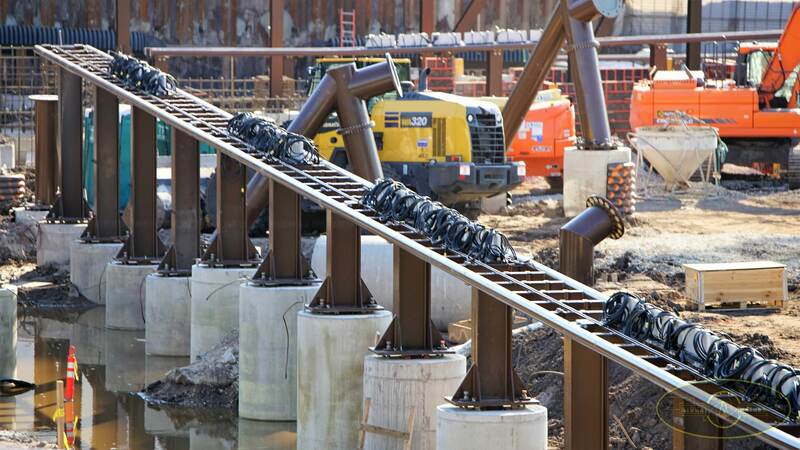 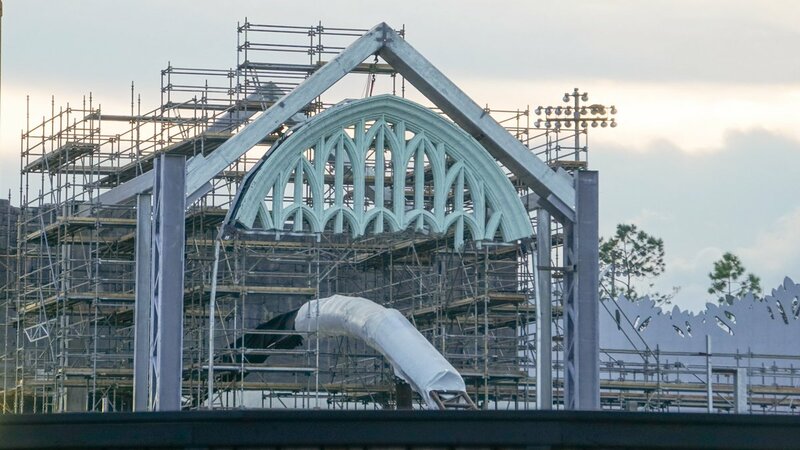 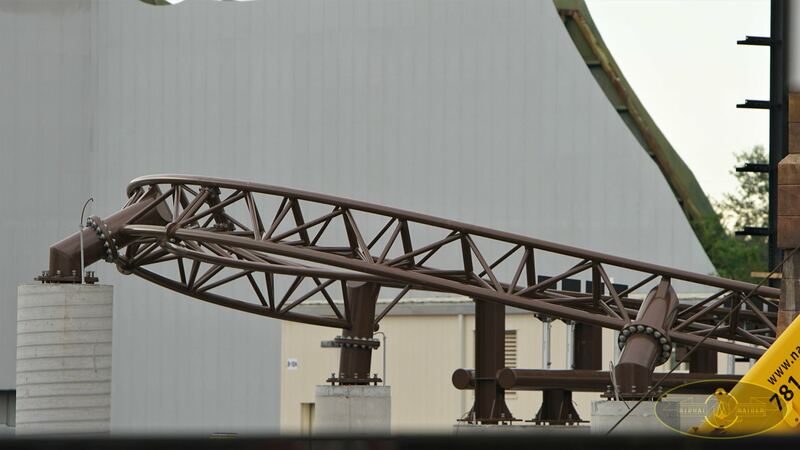 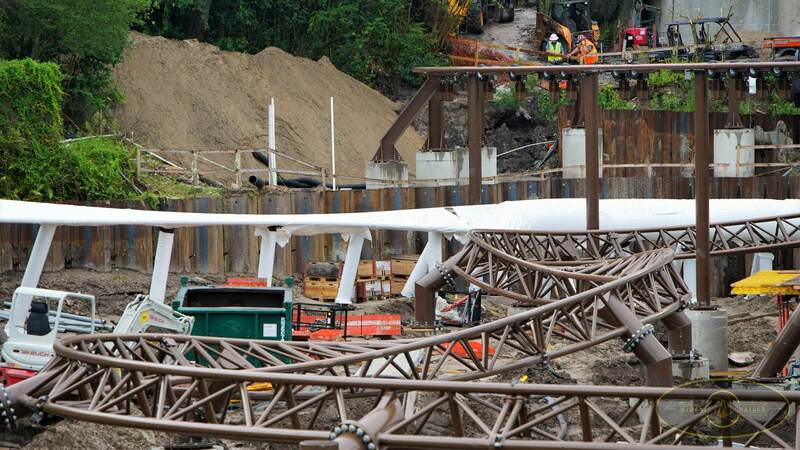 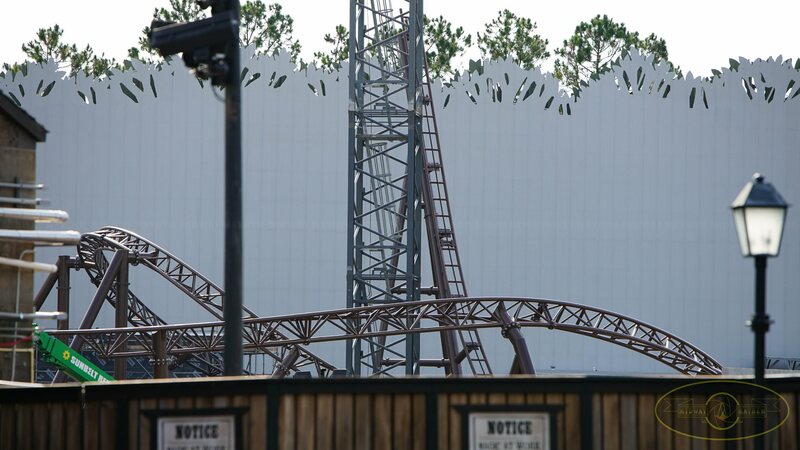 Looks like it will be a pretty big coaster. 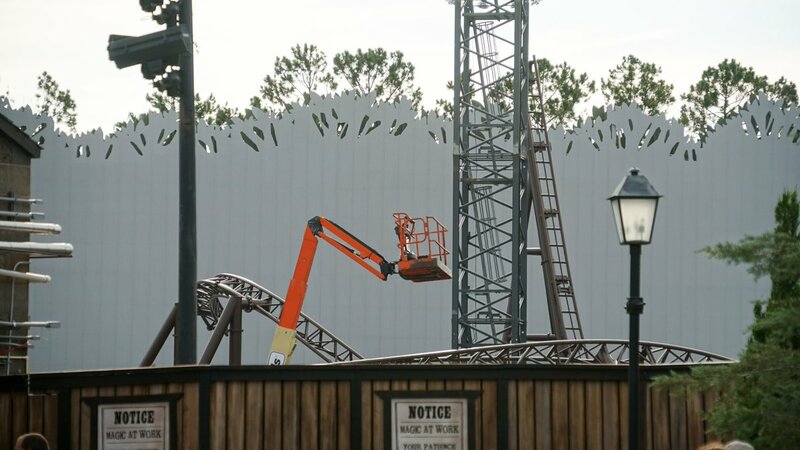 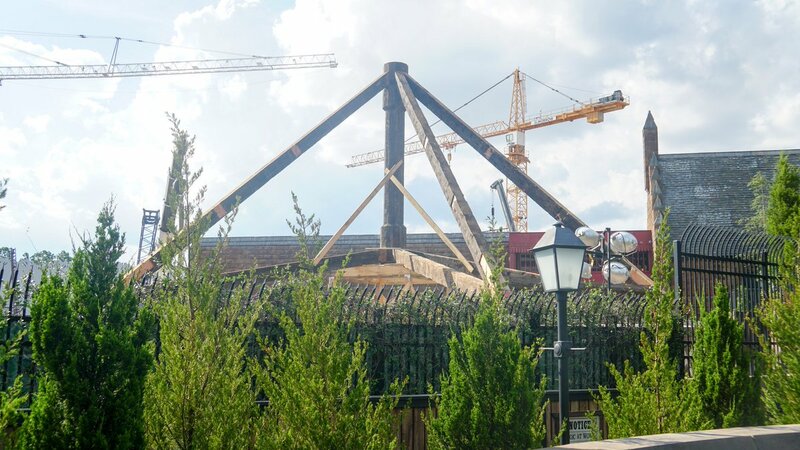 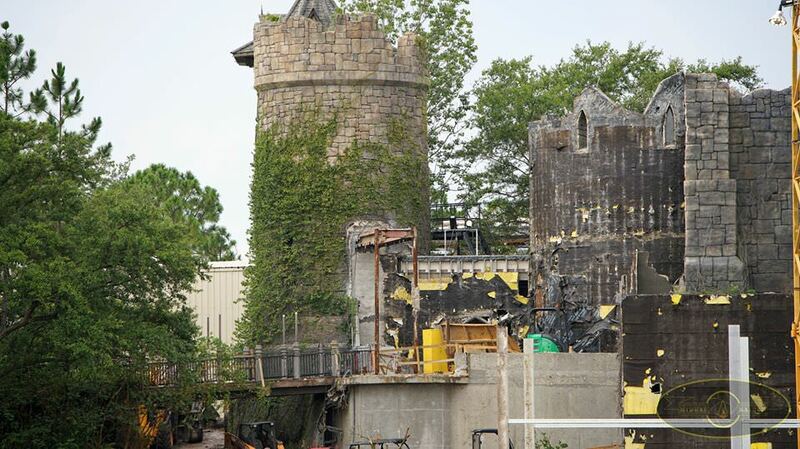 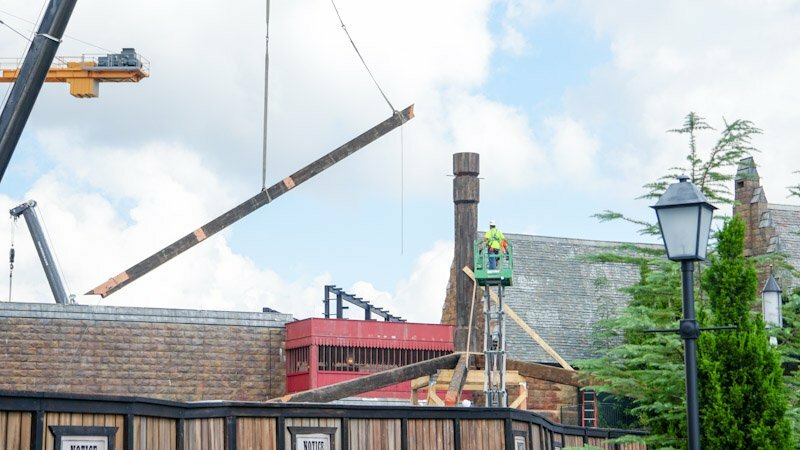 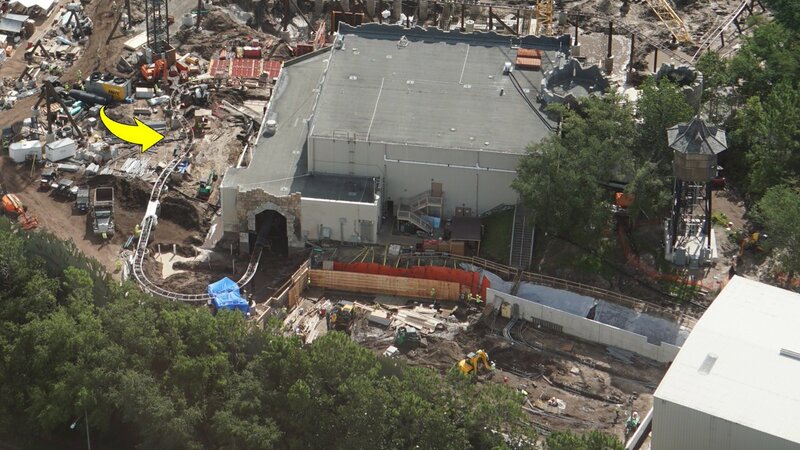 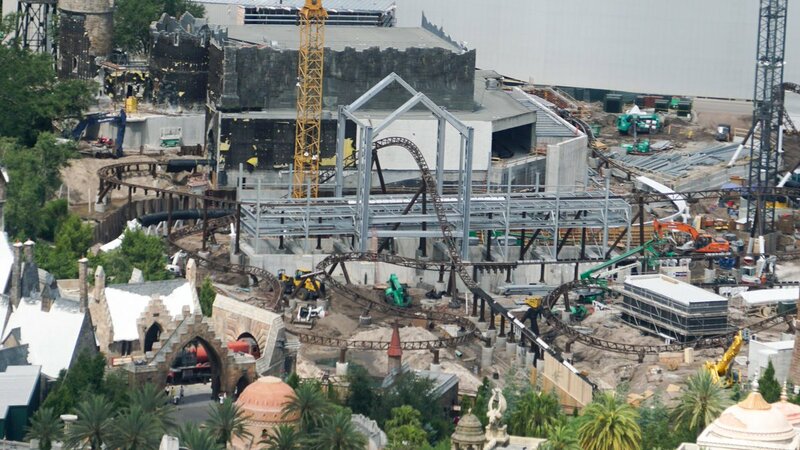 I'm bummed that Dueling Dragons is gone but I think this will be a good replacement. 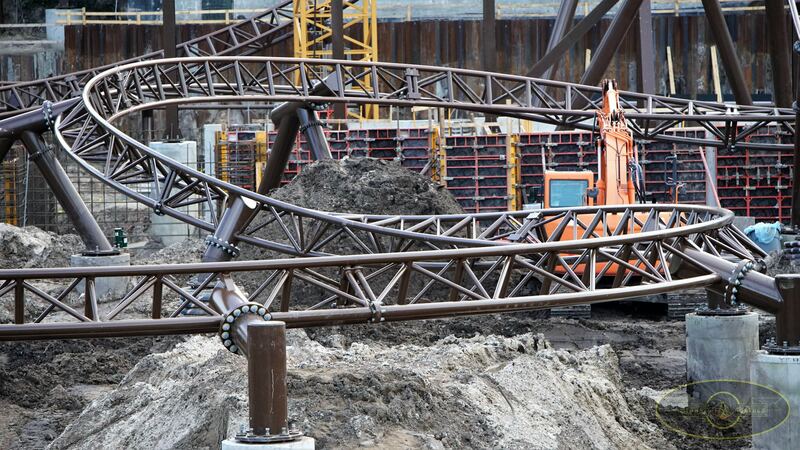 This is shaping up to be one hell of a motorbike. 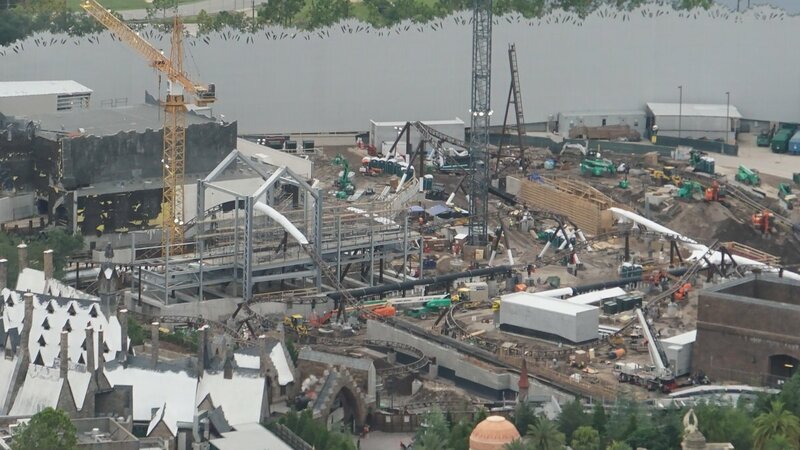 Yeah - really interested in how this will come together in the end. 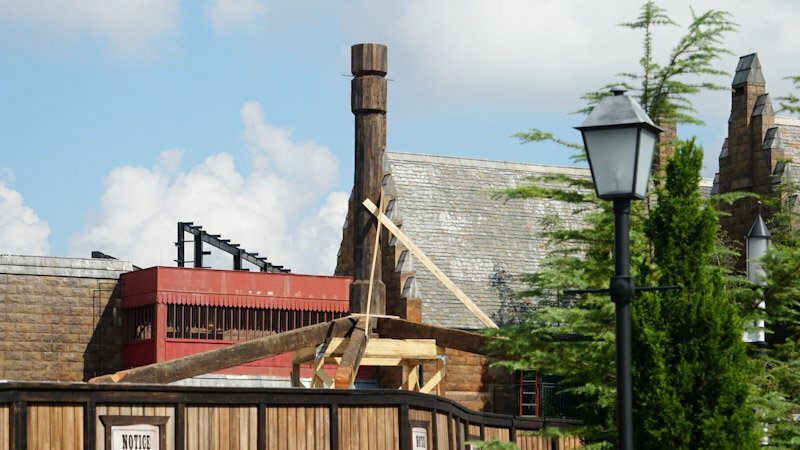 Good to see the dragon's being replaced with something equally interesting! 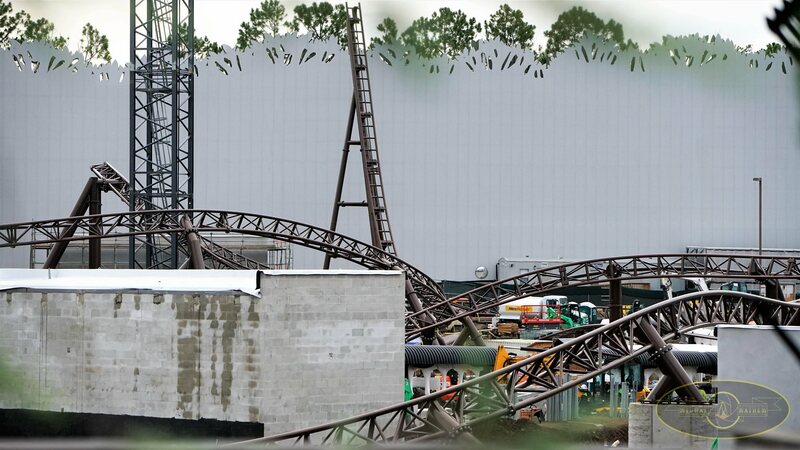 Time for a massive update. 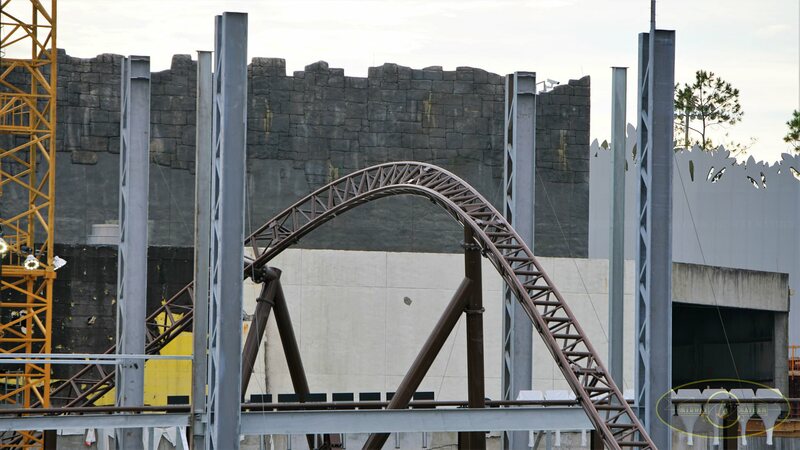 I'm still surprised on what looks like a double drop track. 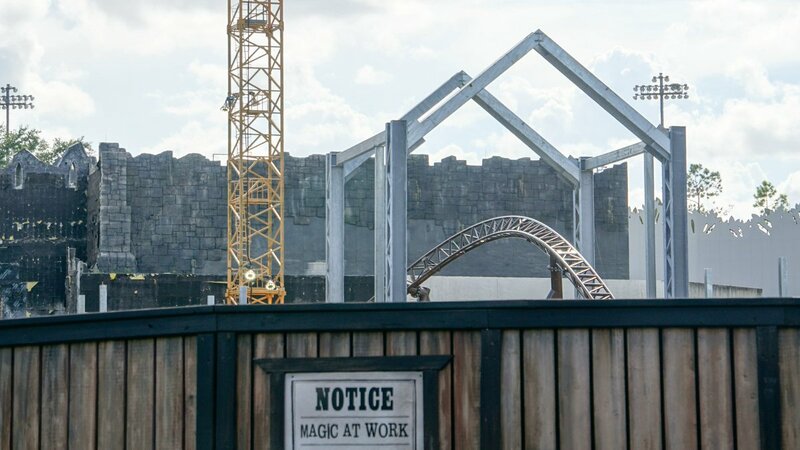 Certainly going to be something interesting. 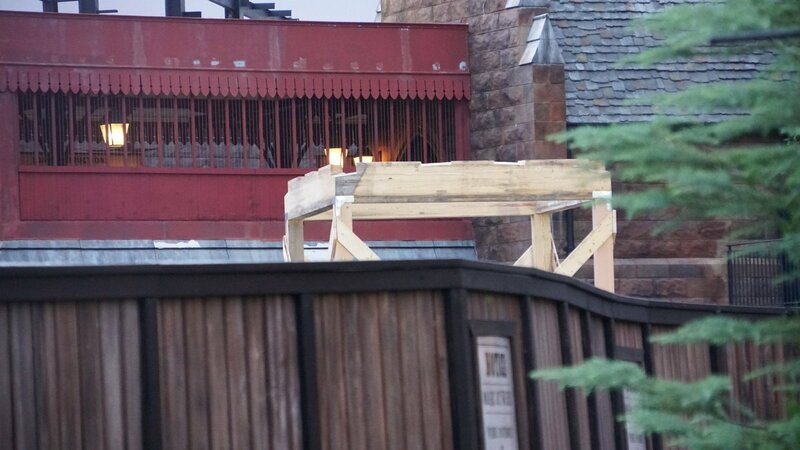 Perhaps it's there for extra capacity? 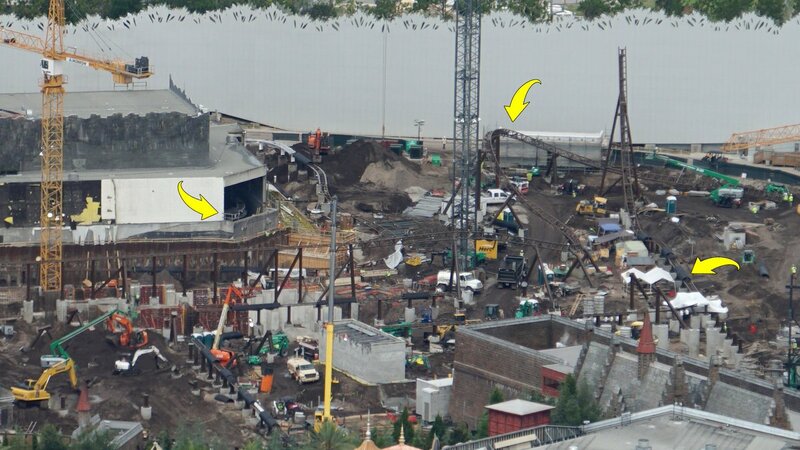 Probably^ Maybe a long show scene before the drop so two are needed? 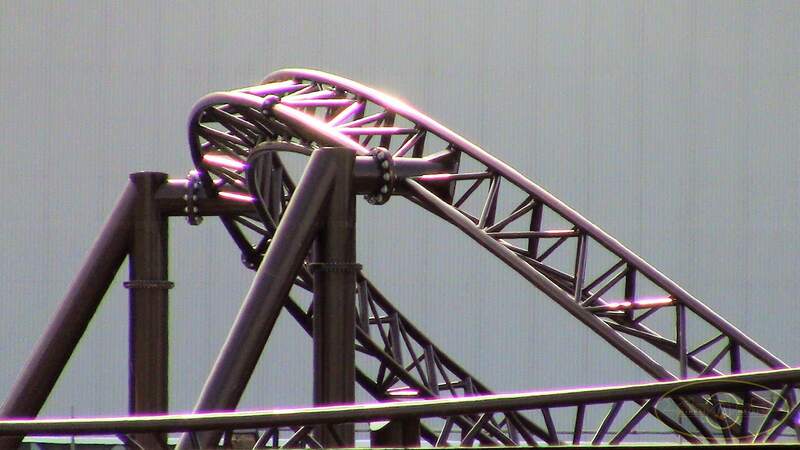 Yeah, the actual reset mechanics on Thirteen are incredibly quick - however the showtime is also fairly short - so this would allow the show to start whilst the other track is preparing to drop I would think. 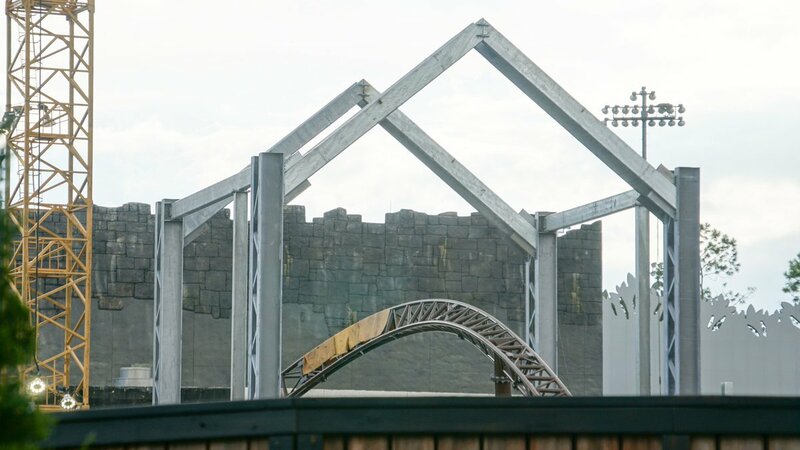 Do we know if the drop is the same distance as Thirteens or it is bigger/smaller? 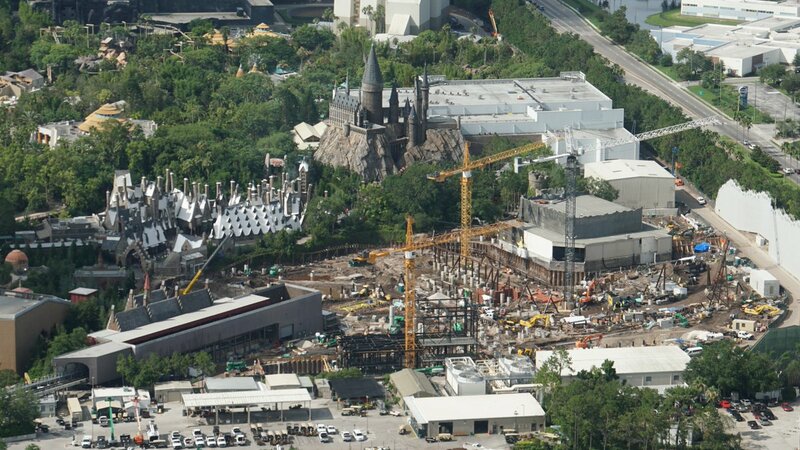 The Wizarding World of Harry Potter at Hollywood! 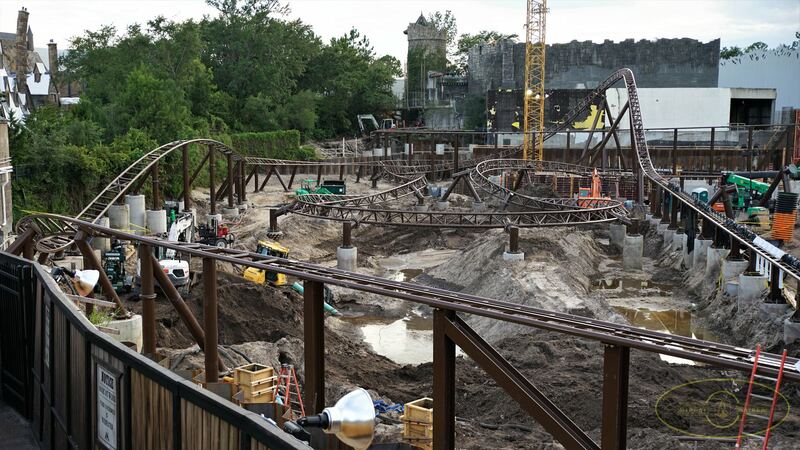 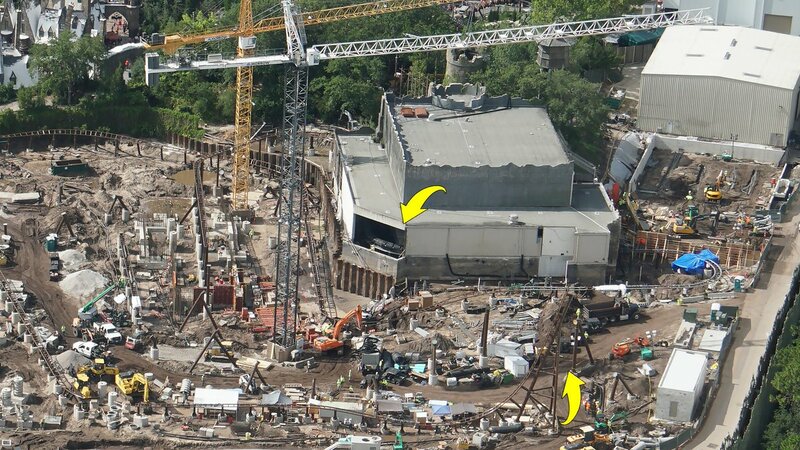 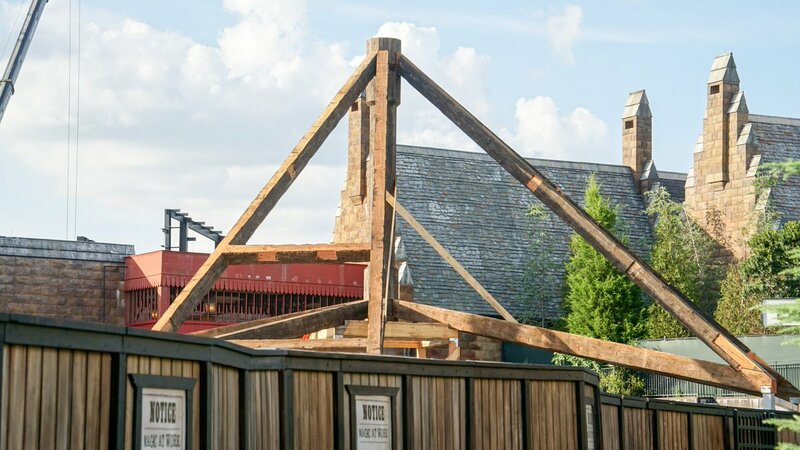 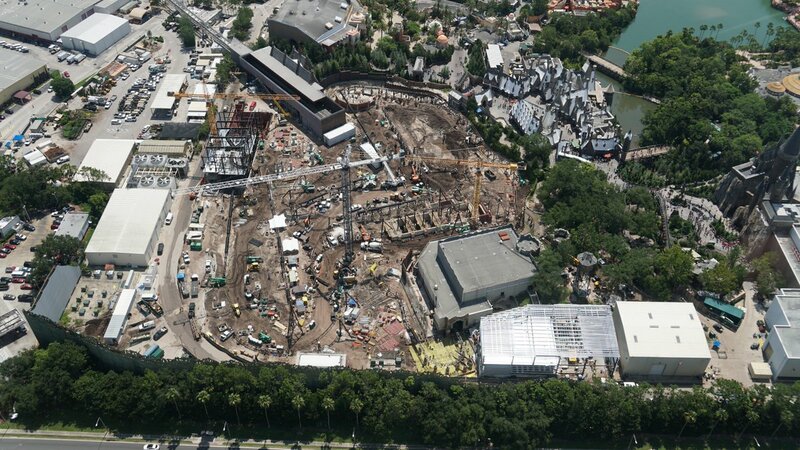 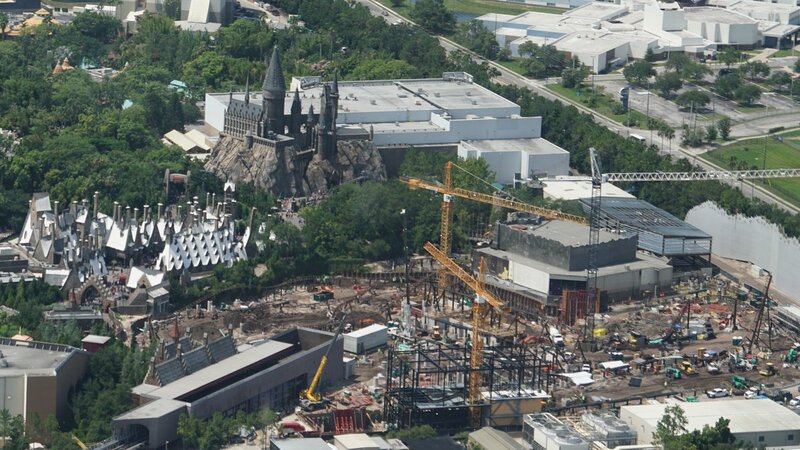 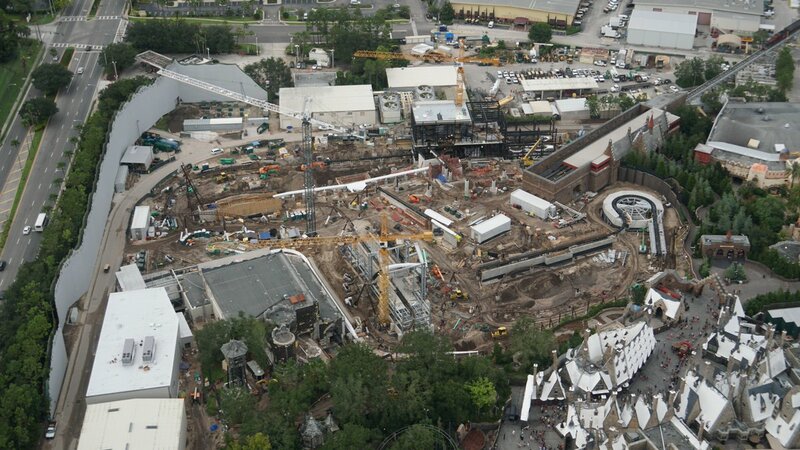 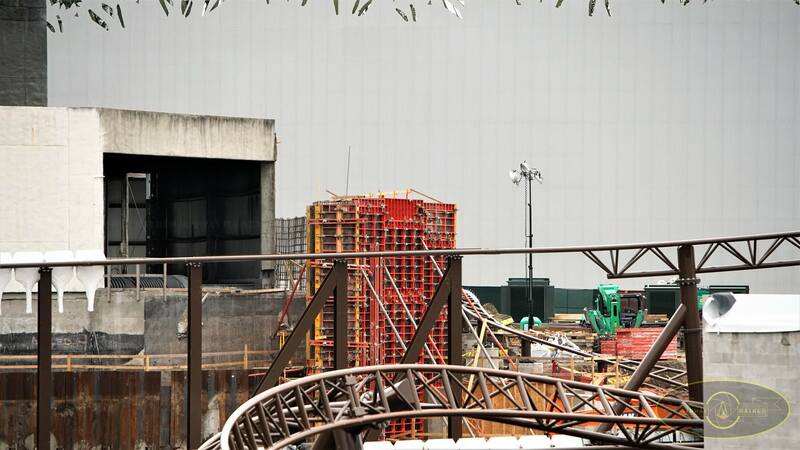 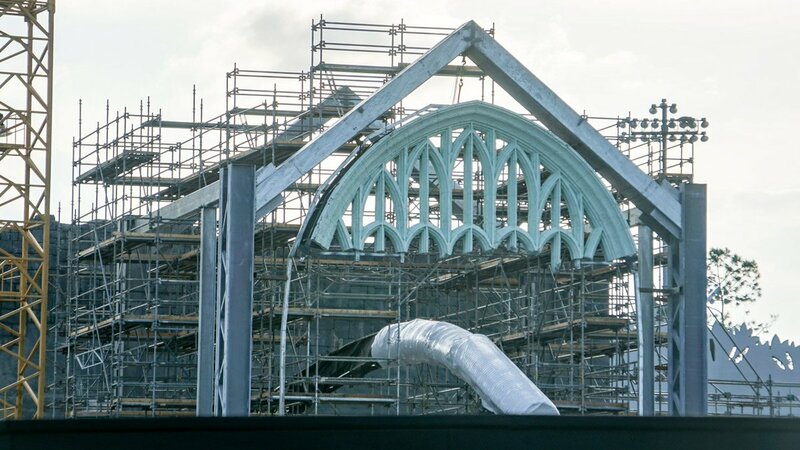 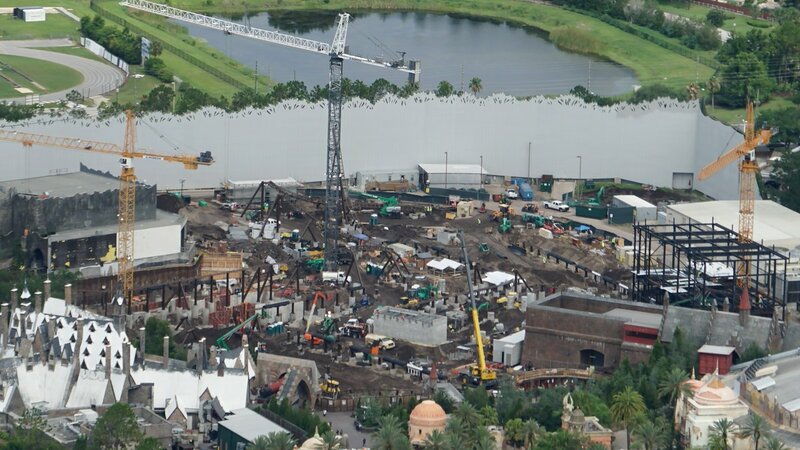 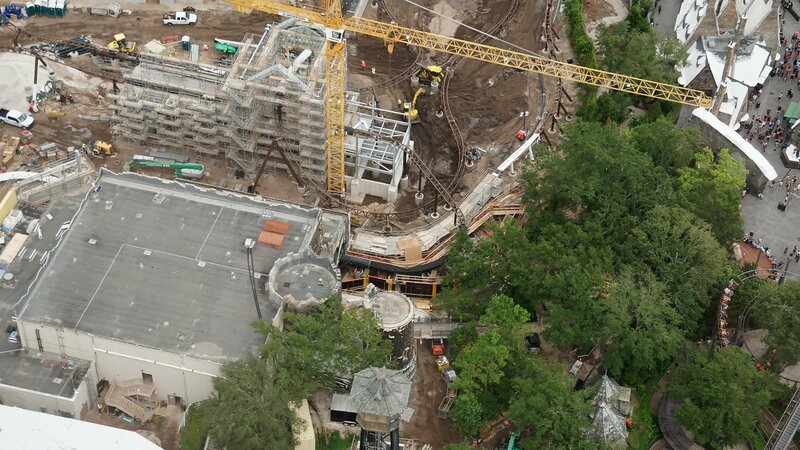 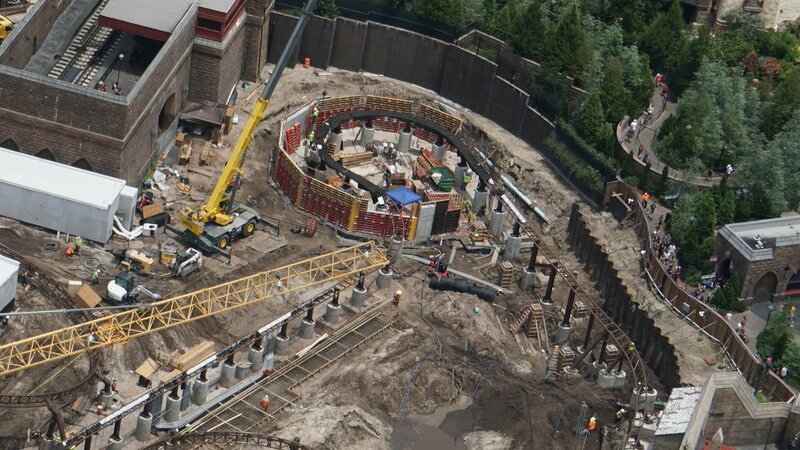 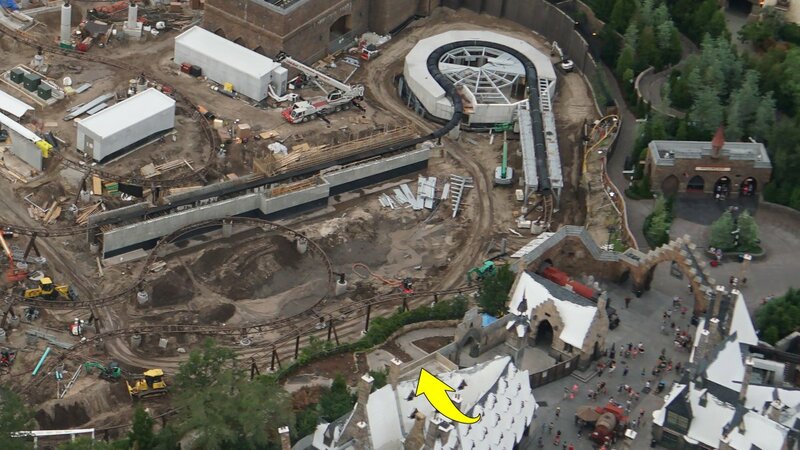 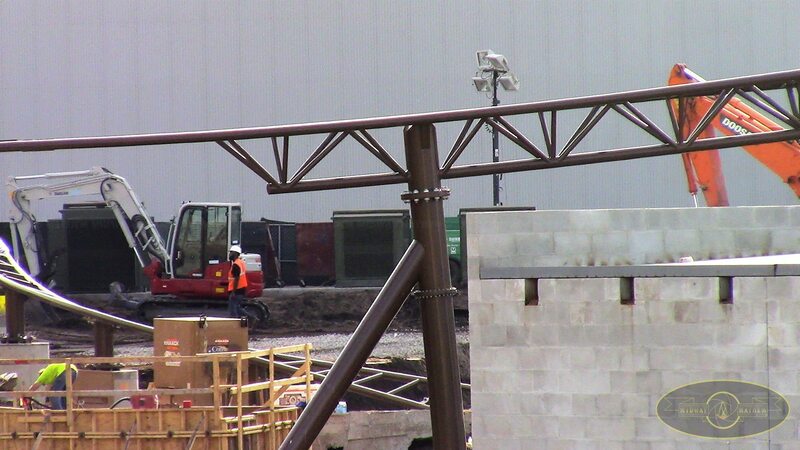 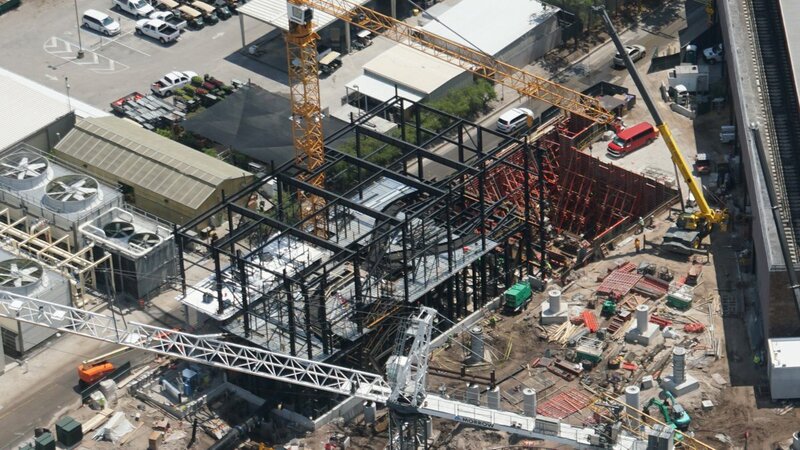 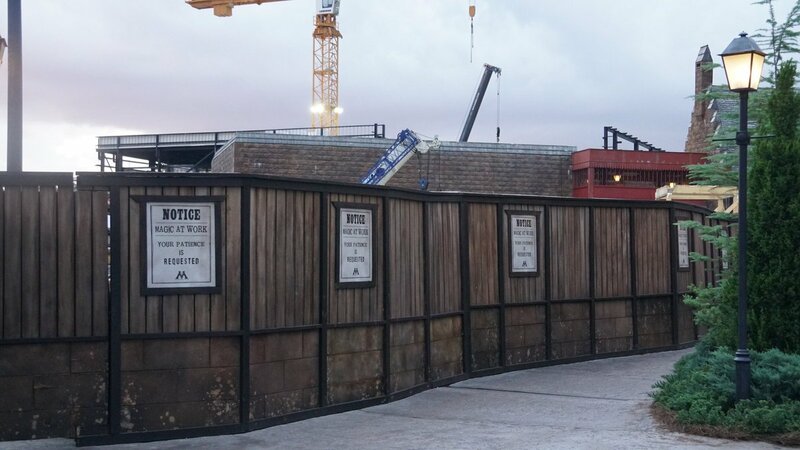 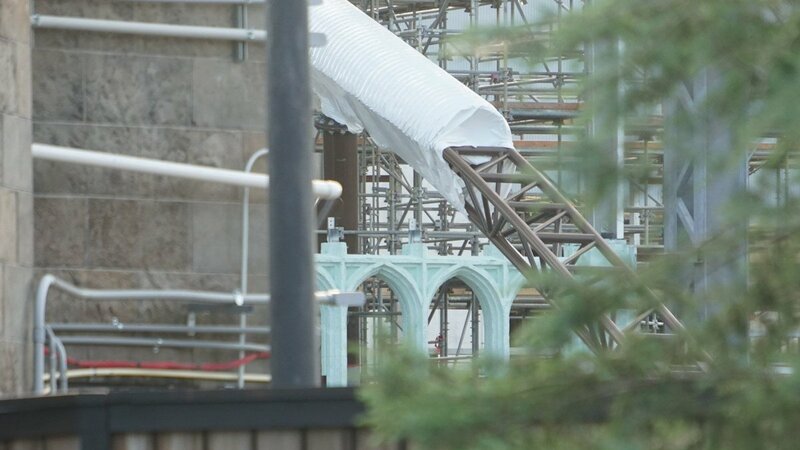 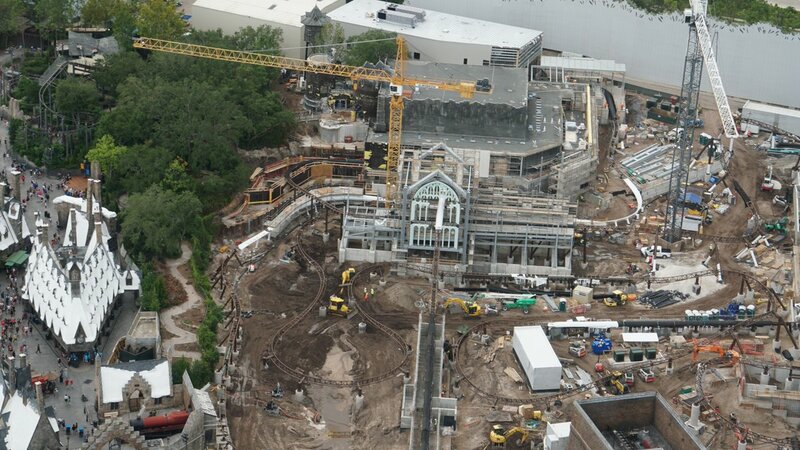 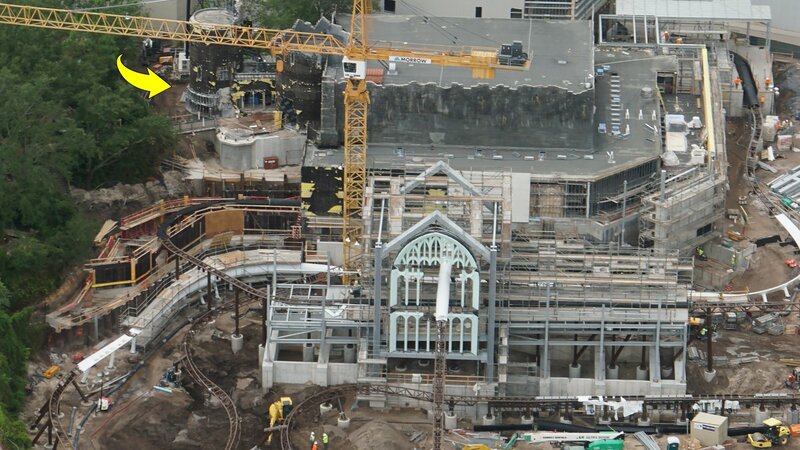 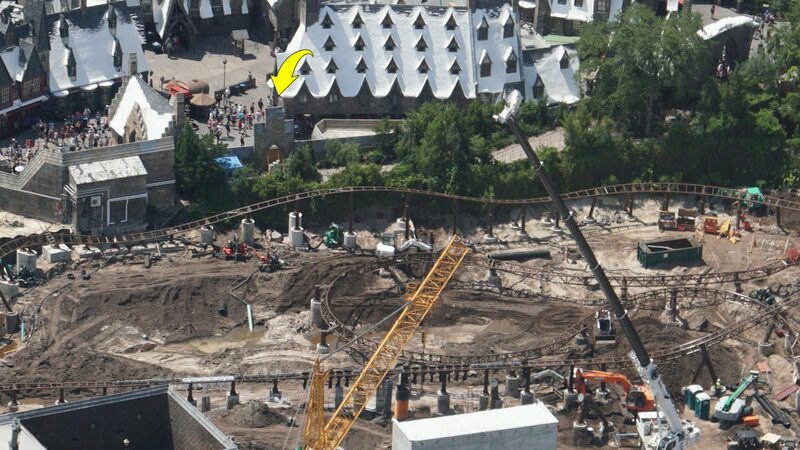 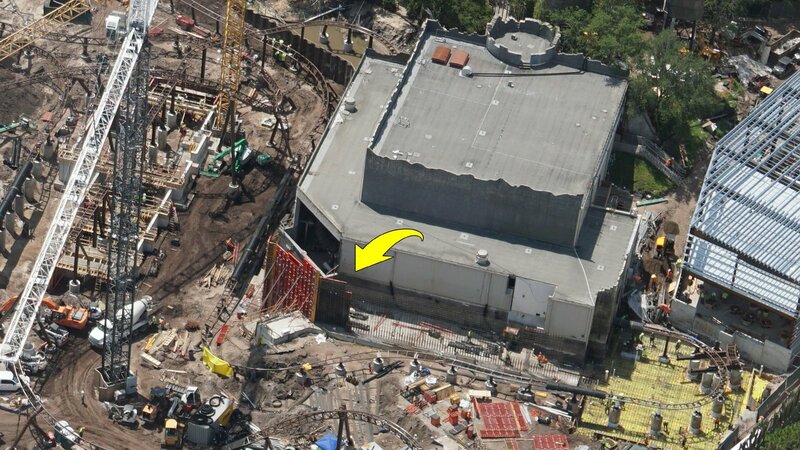 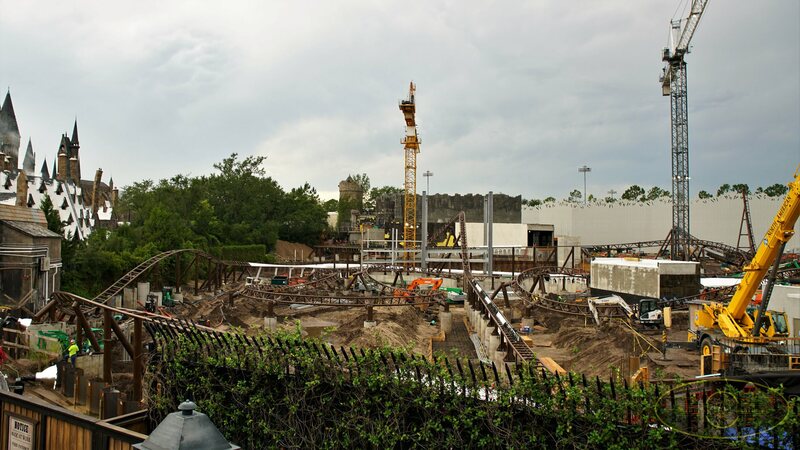 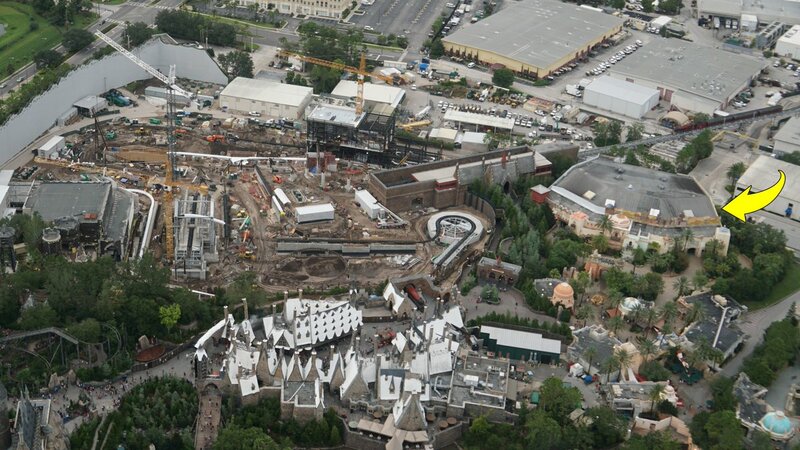 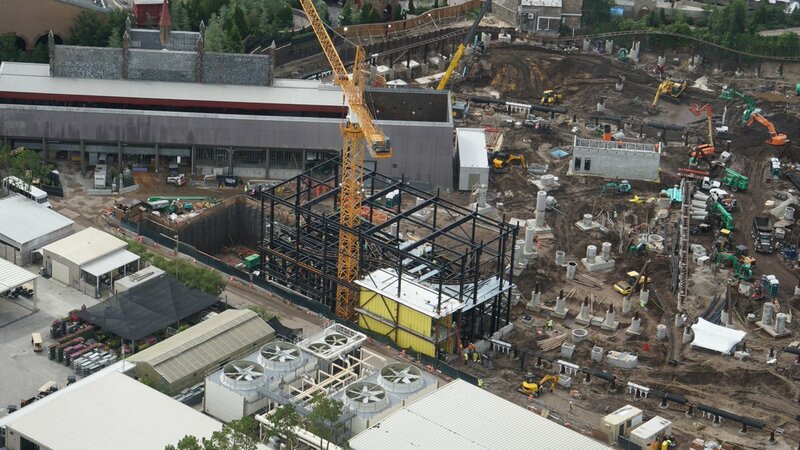 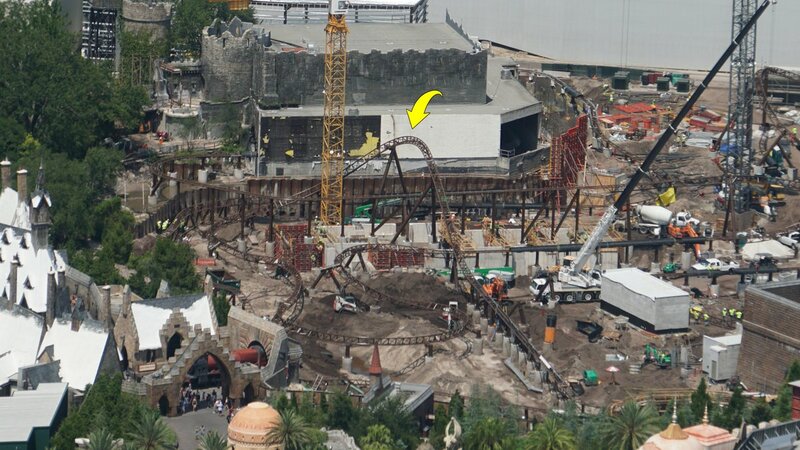 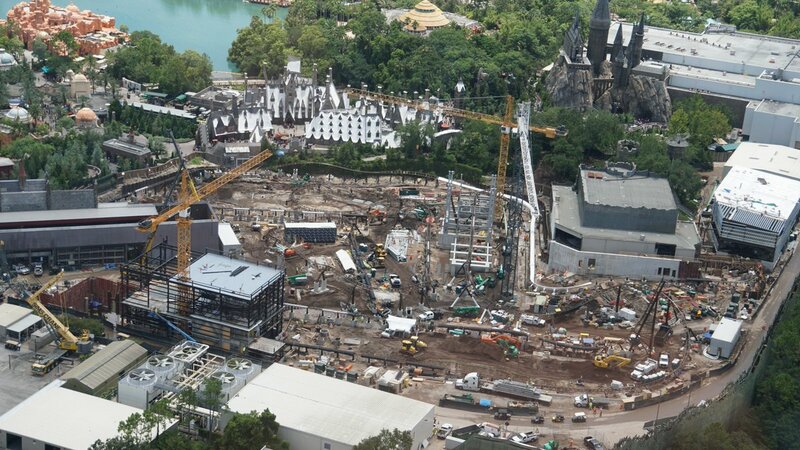 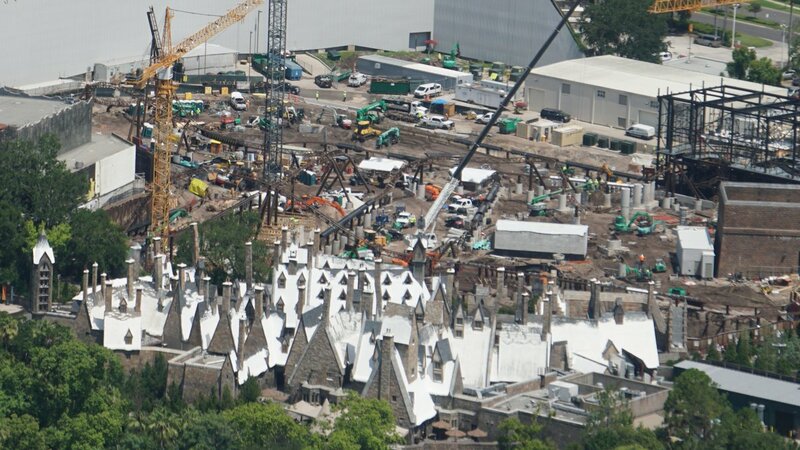 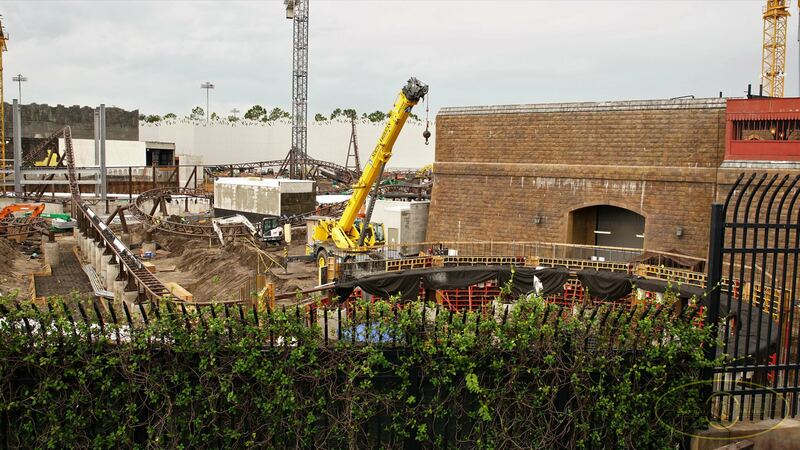 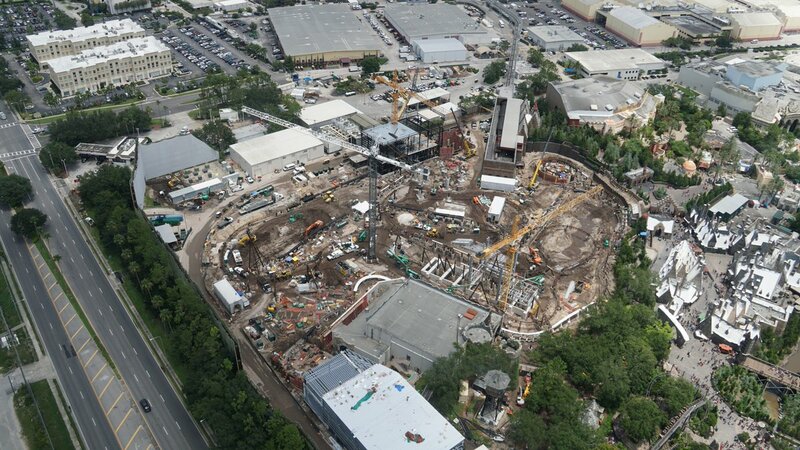 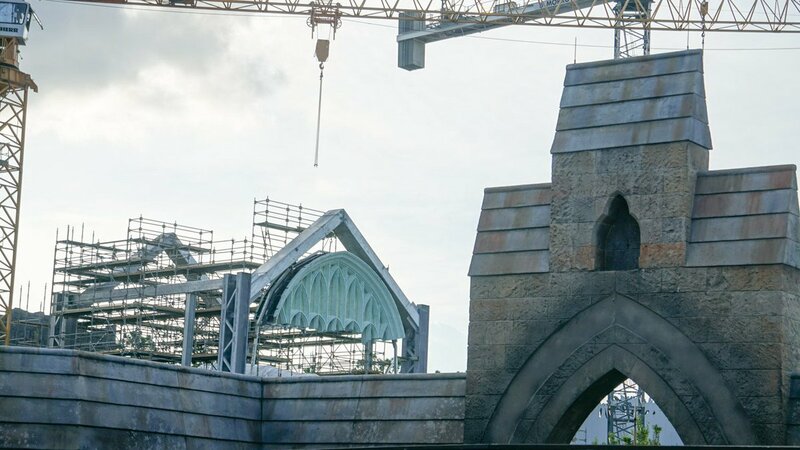 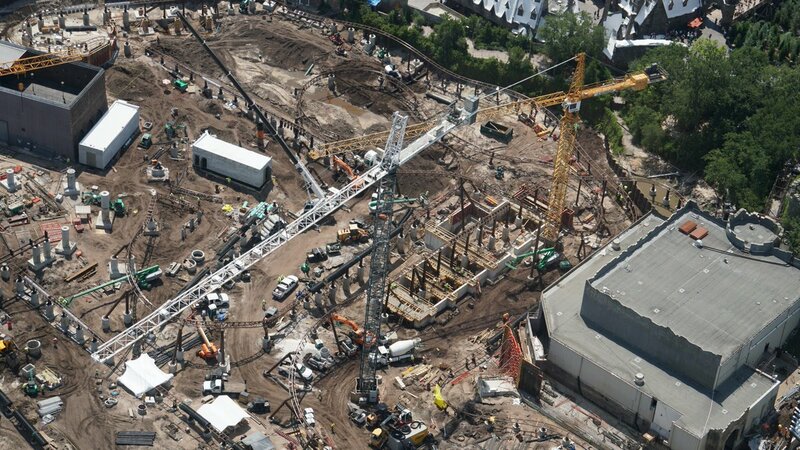 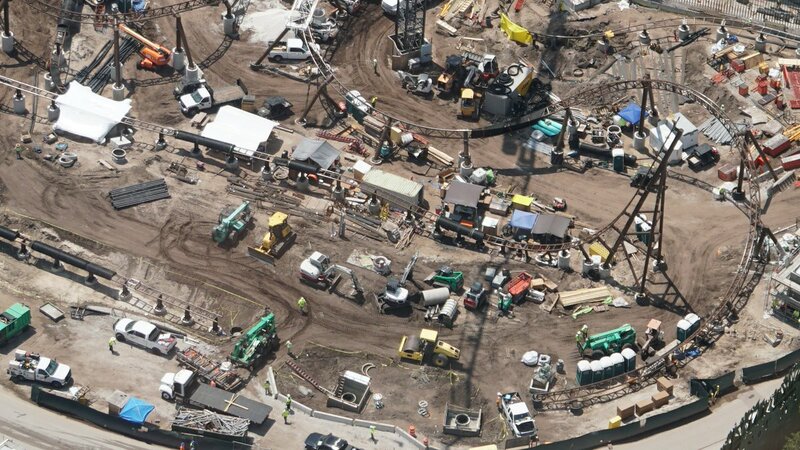 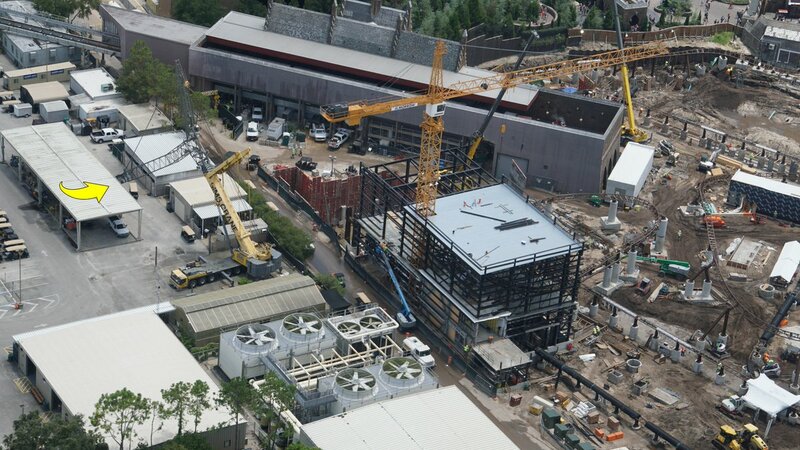 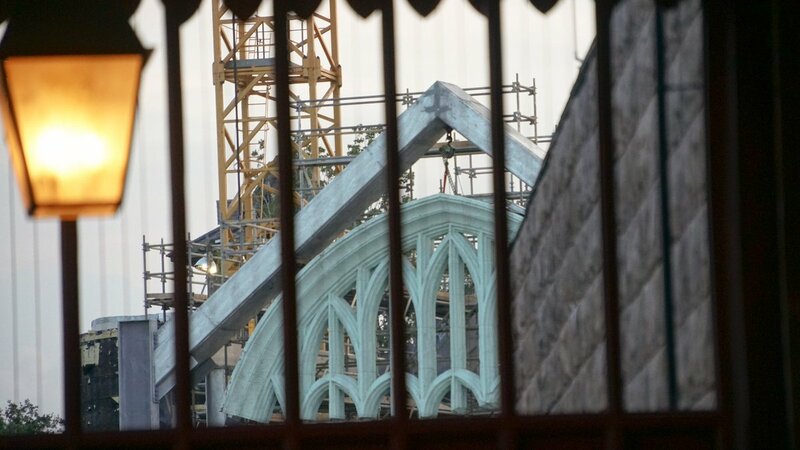 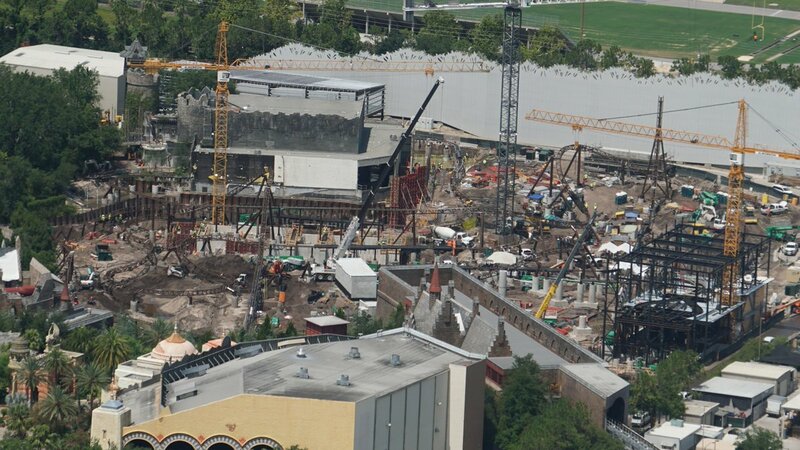 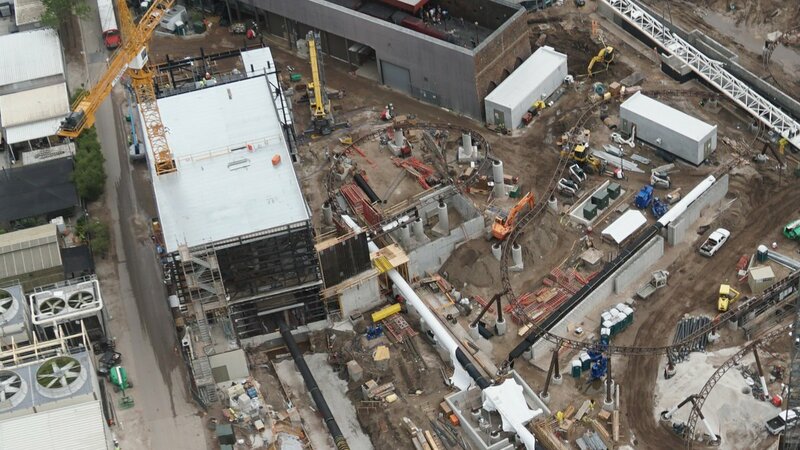 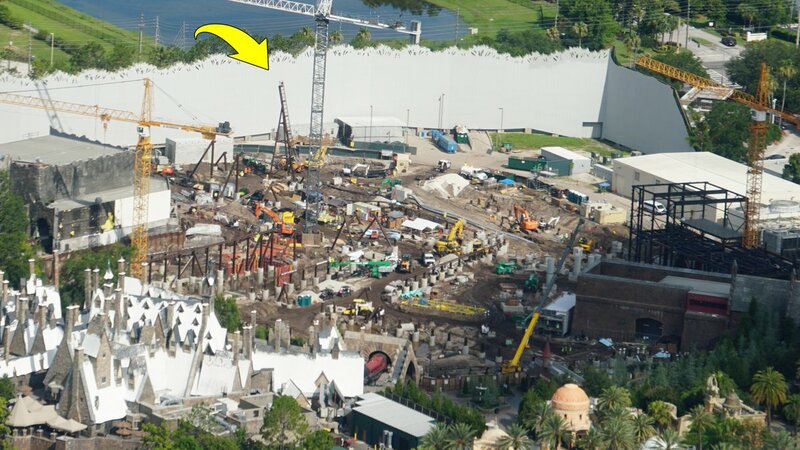 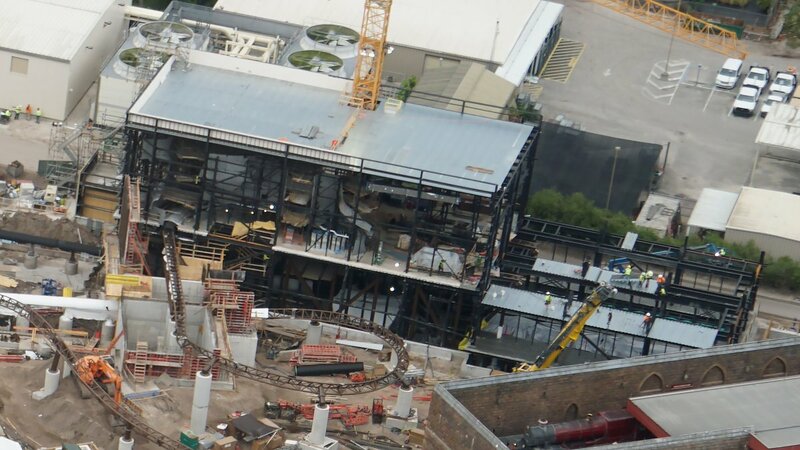 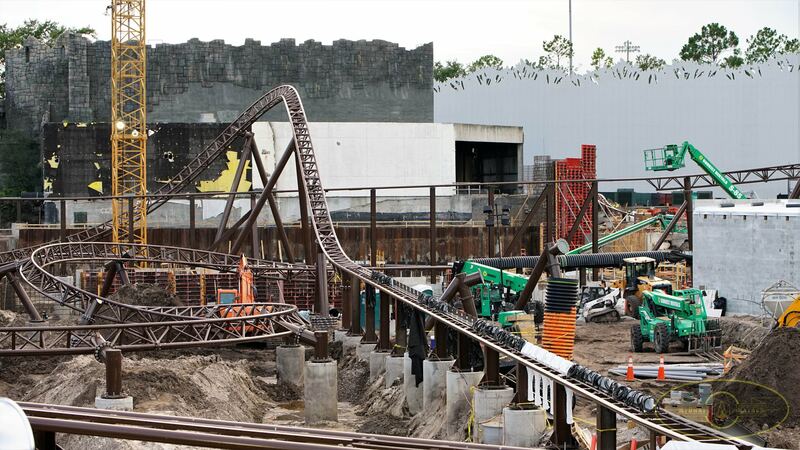 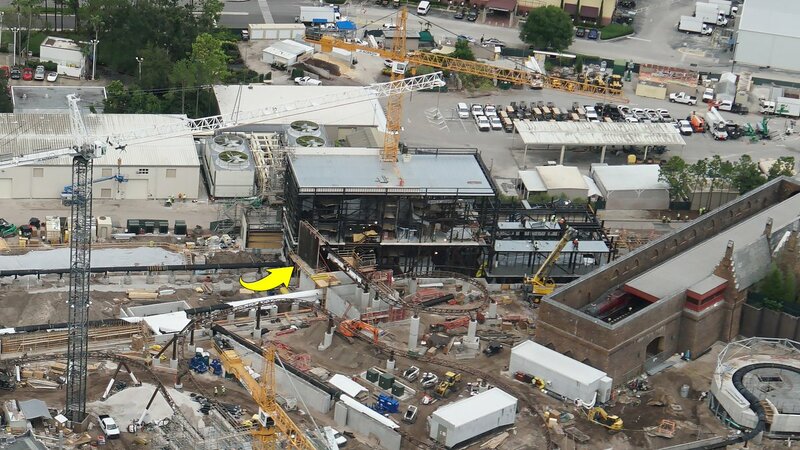 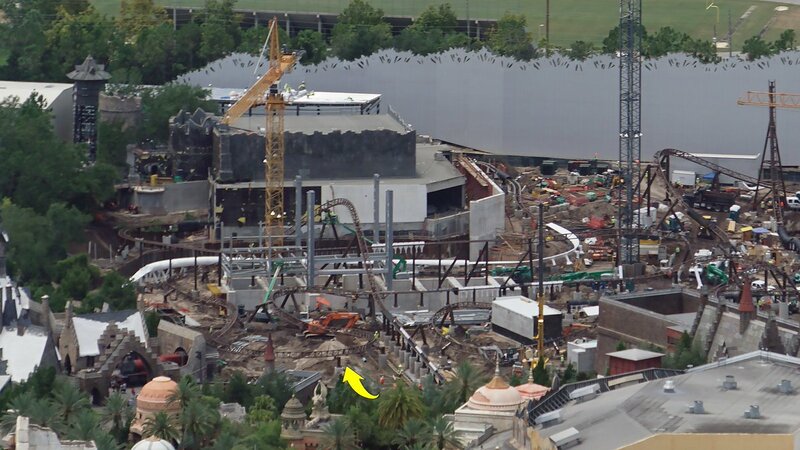 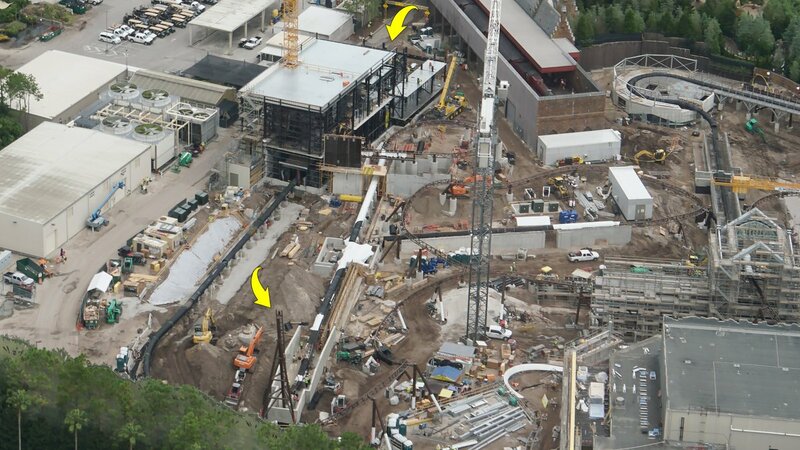 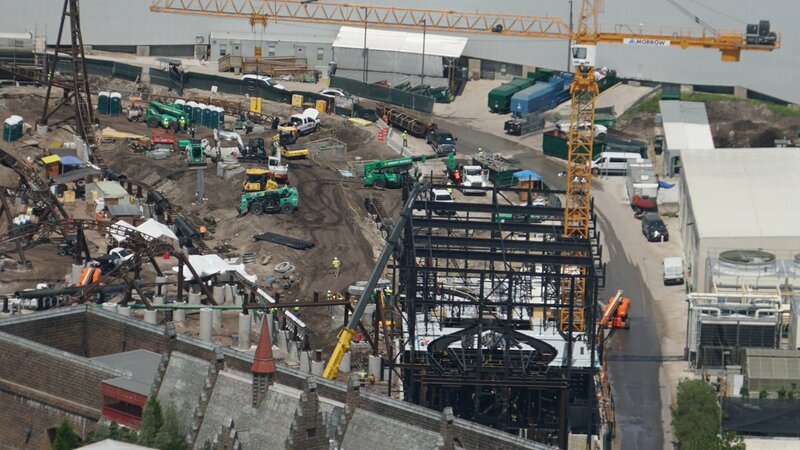 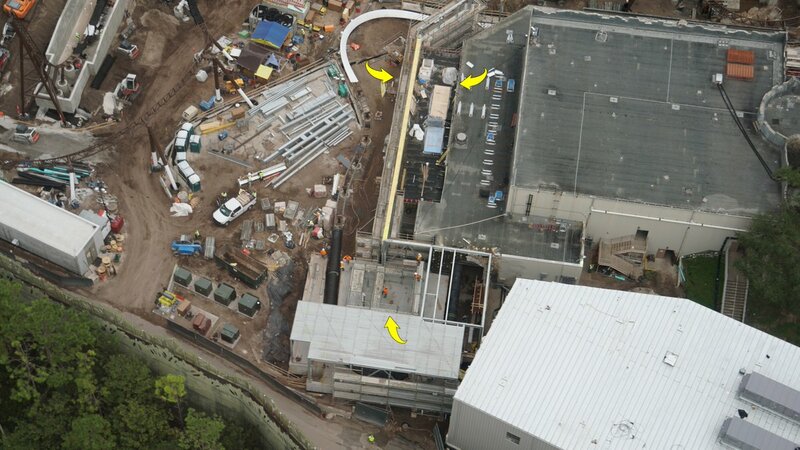 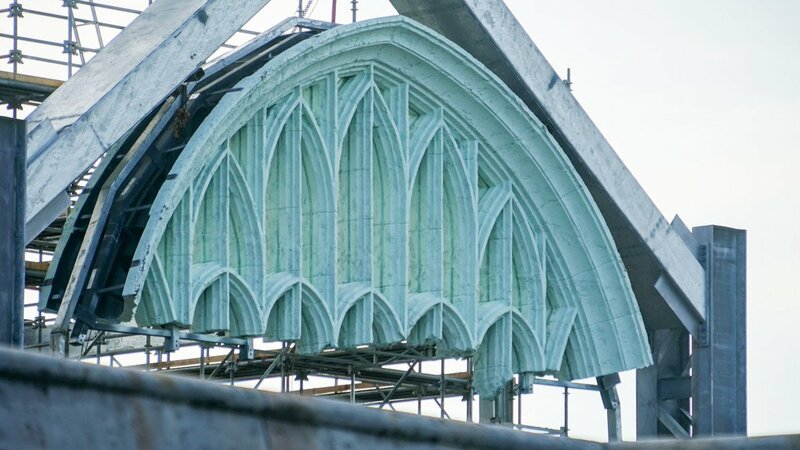 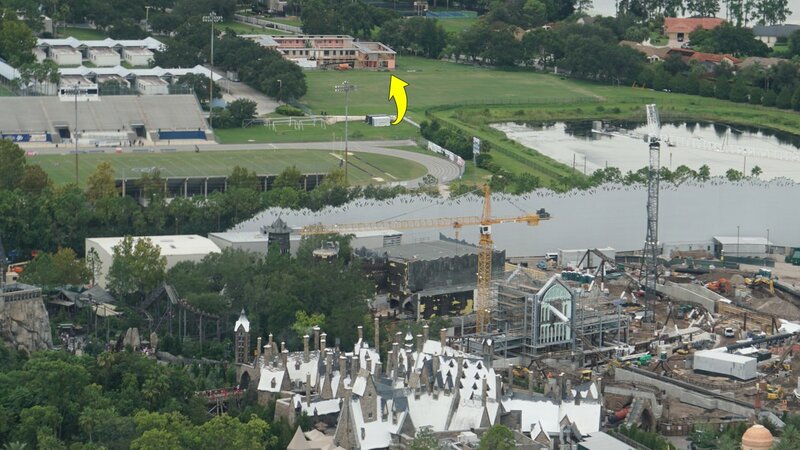 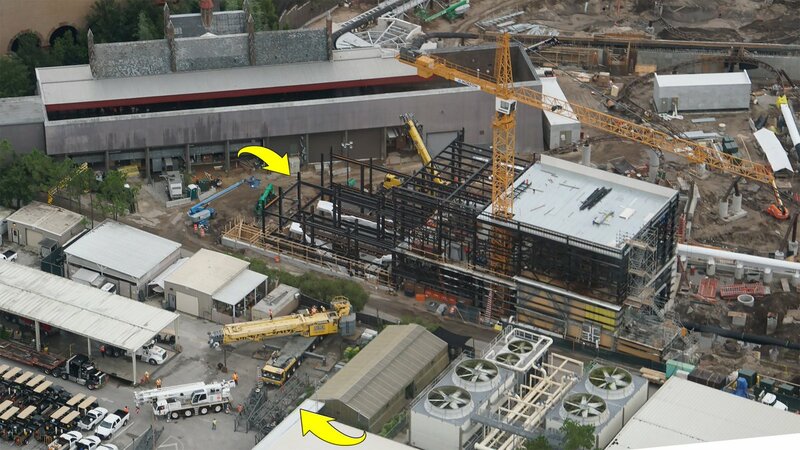 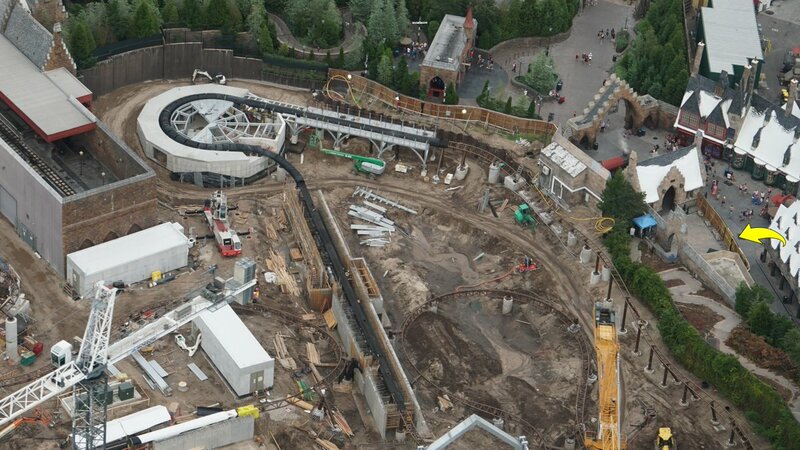 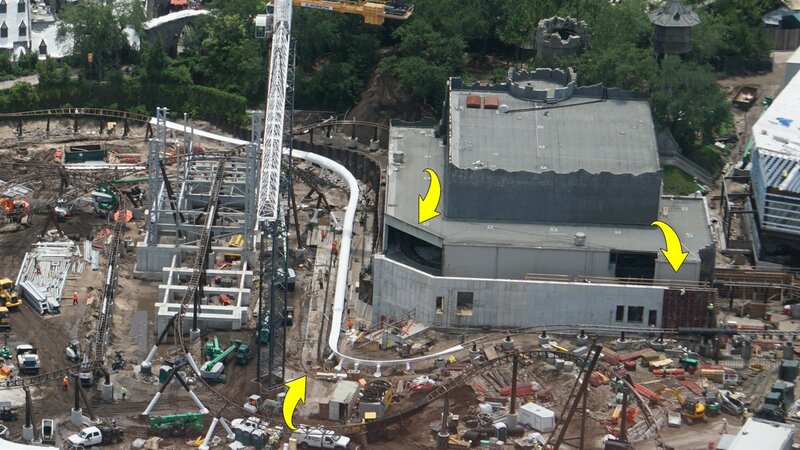 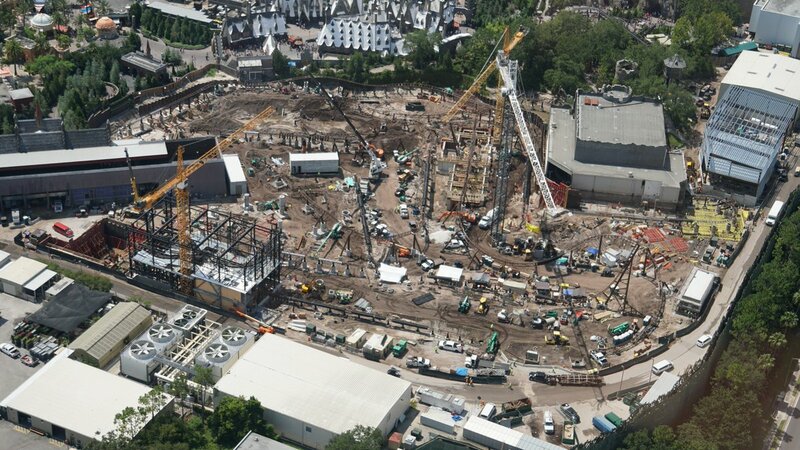 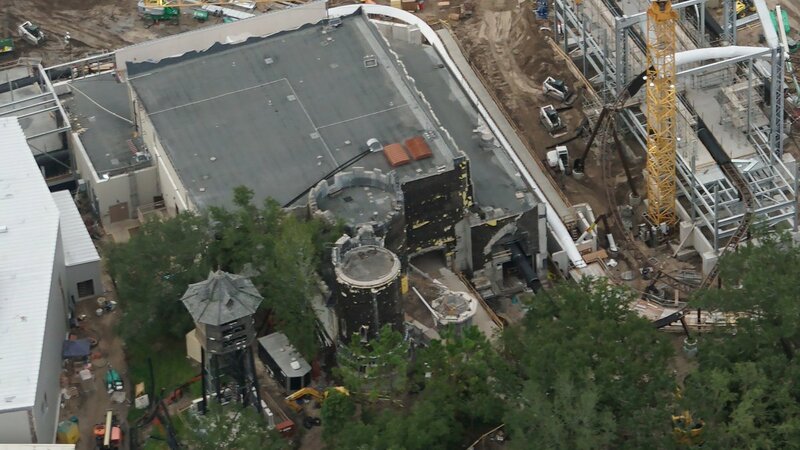 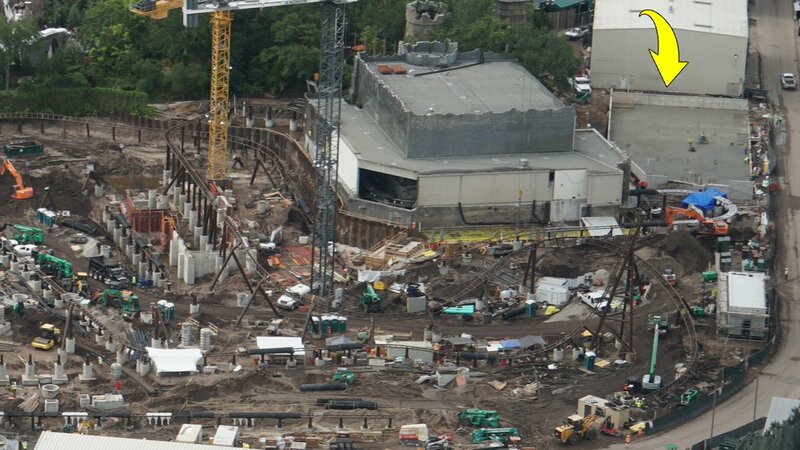 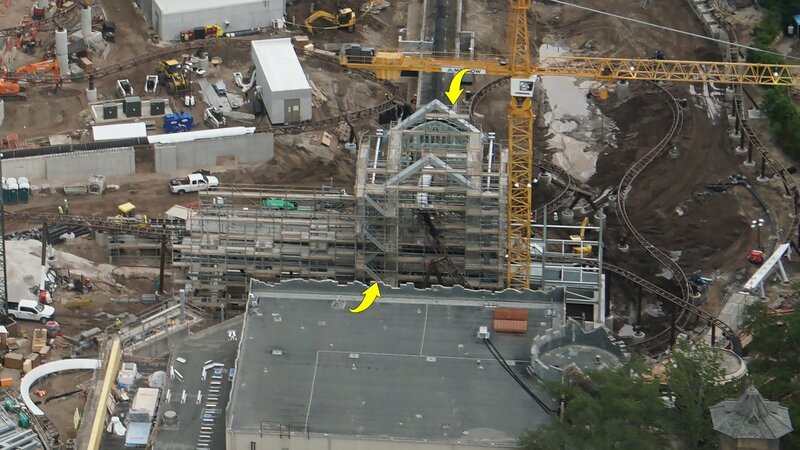 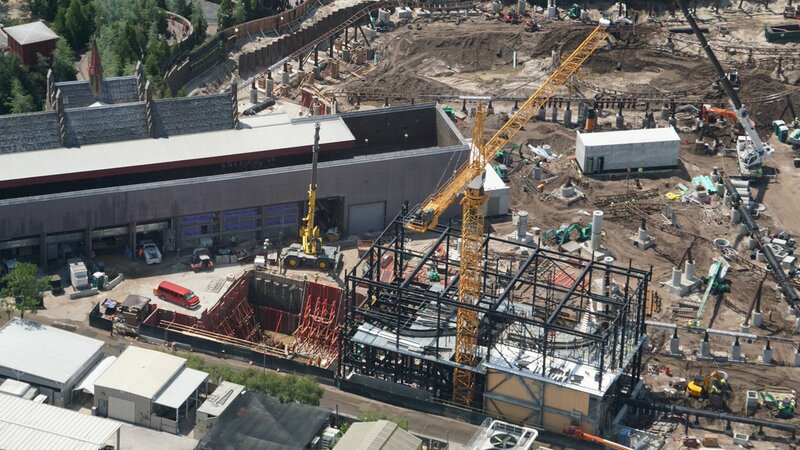 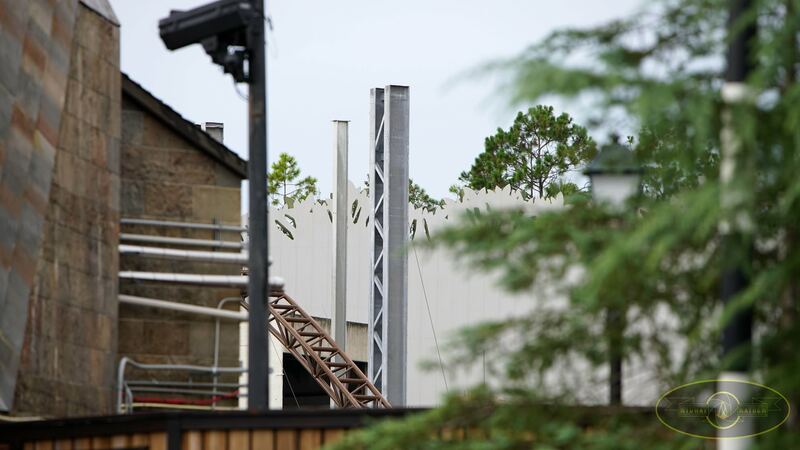 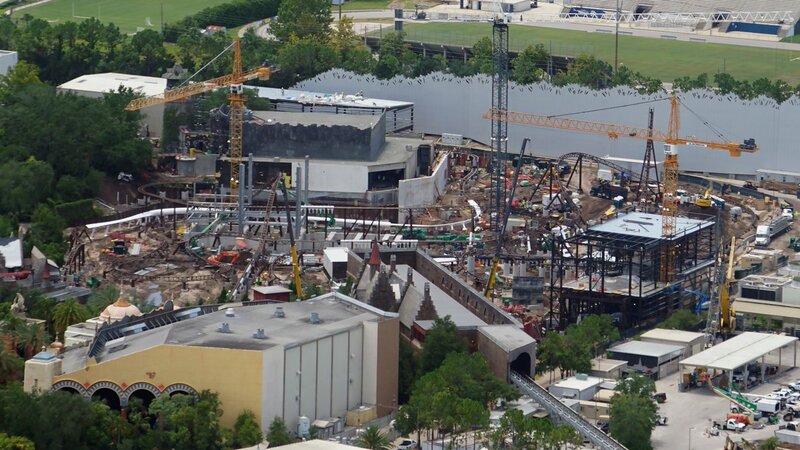 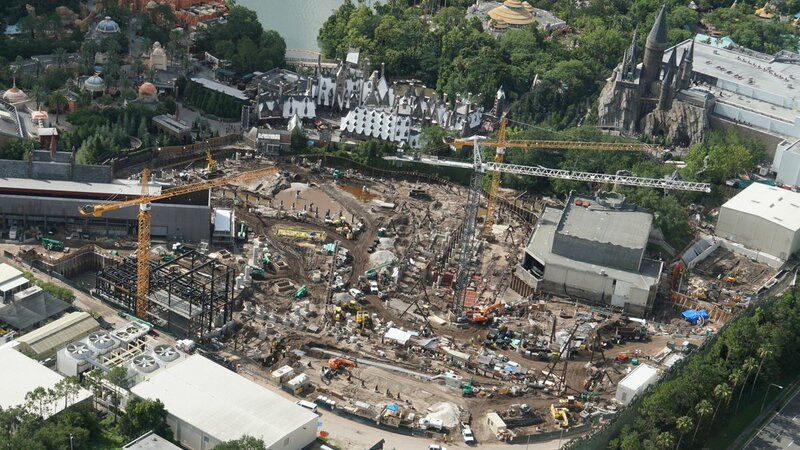 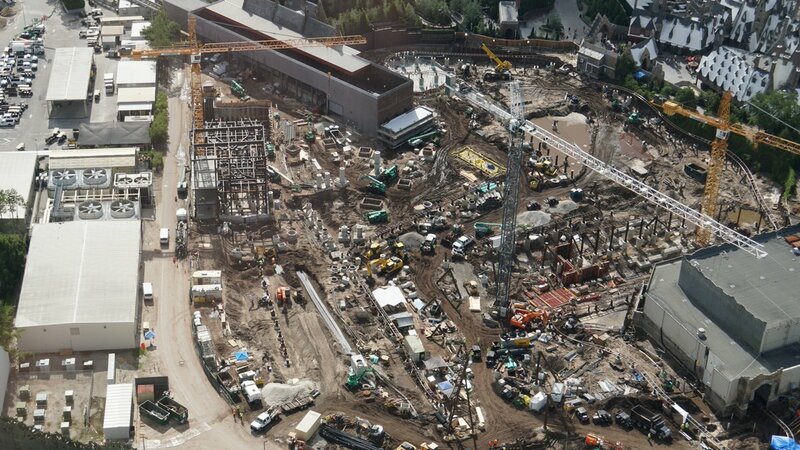 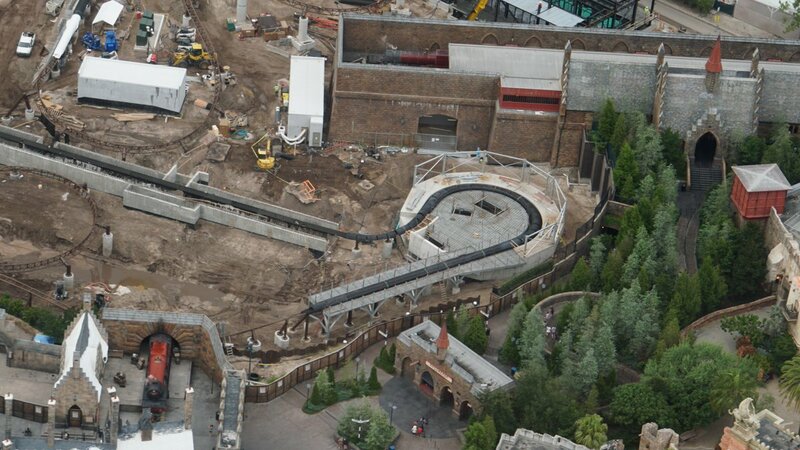 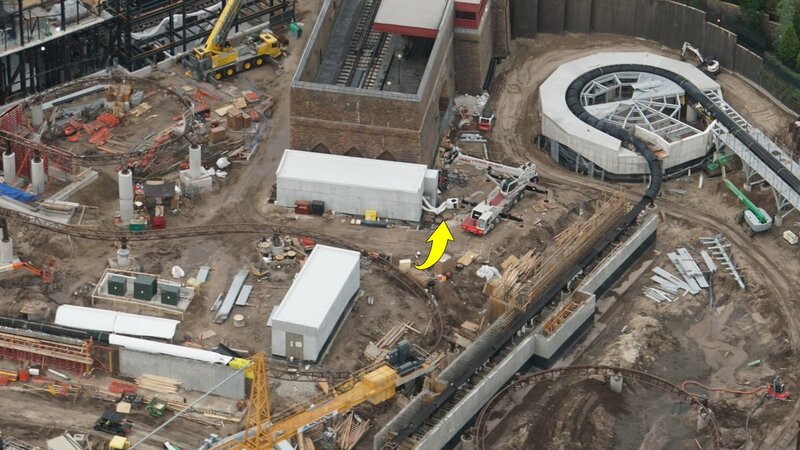 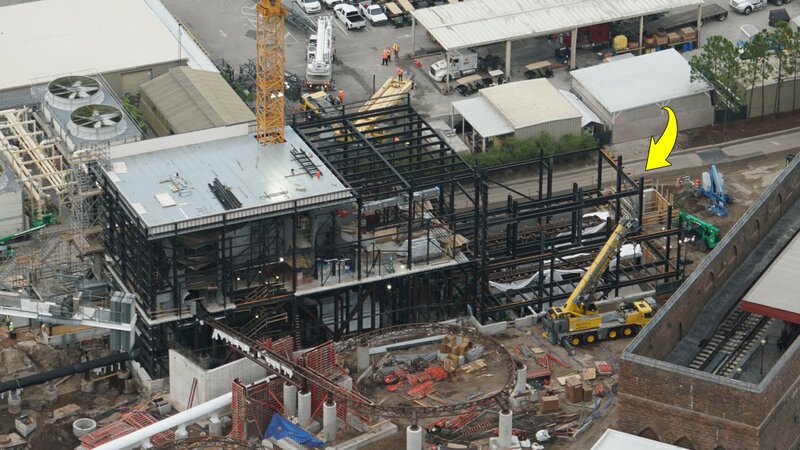 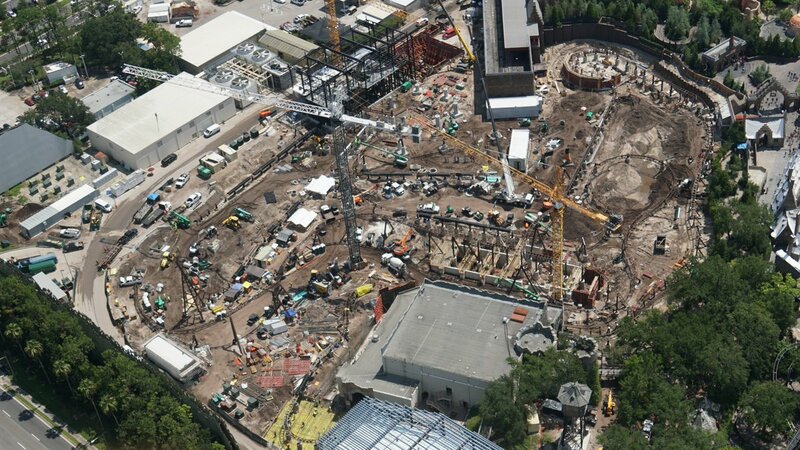 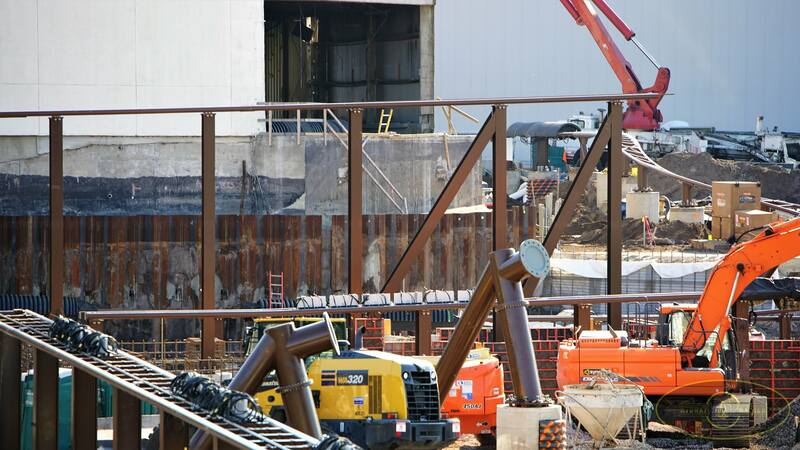 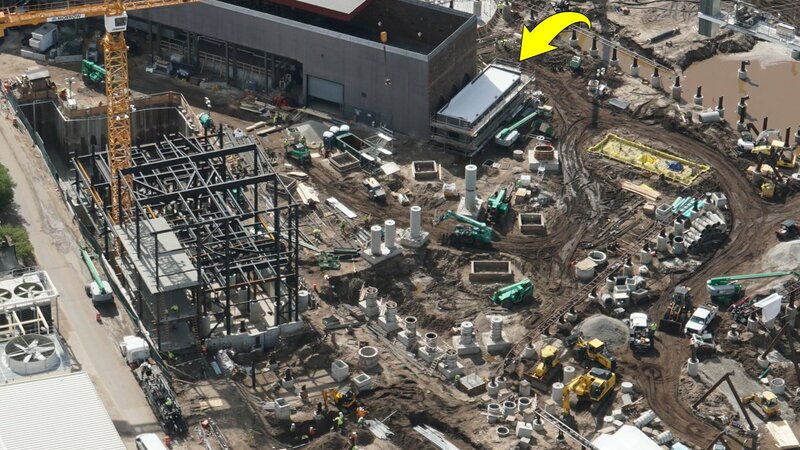 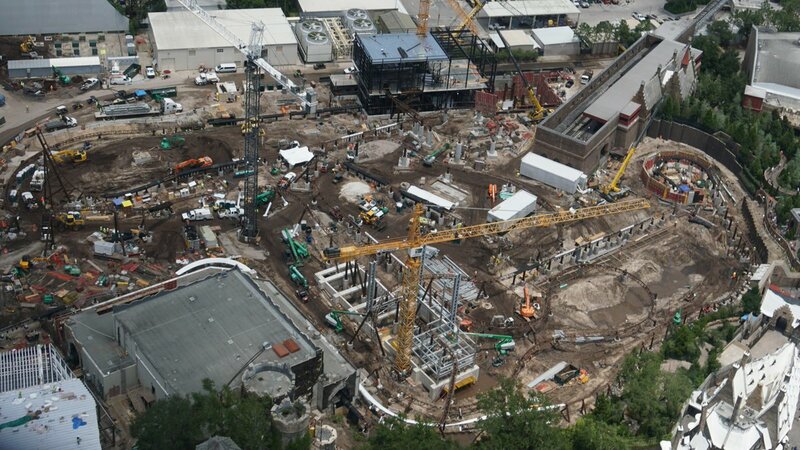 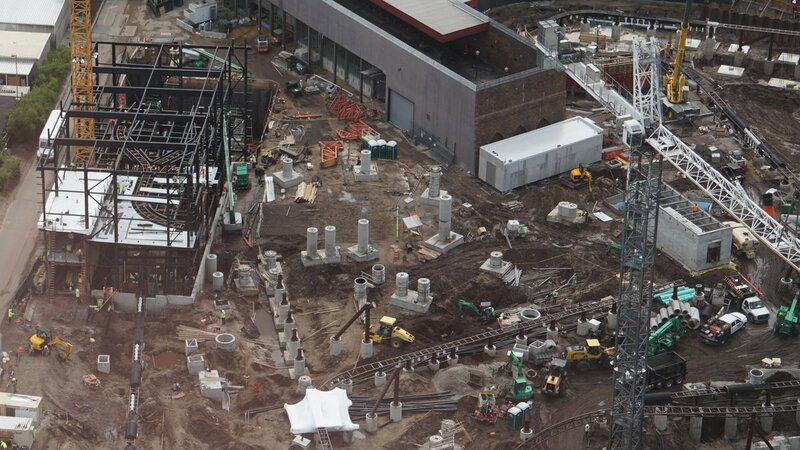 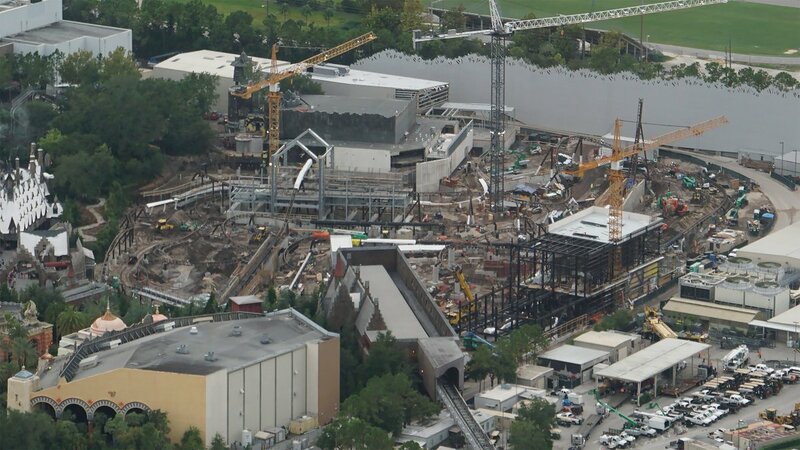 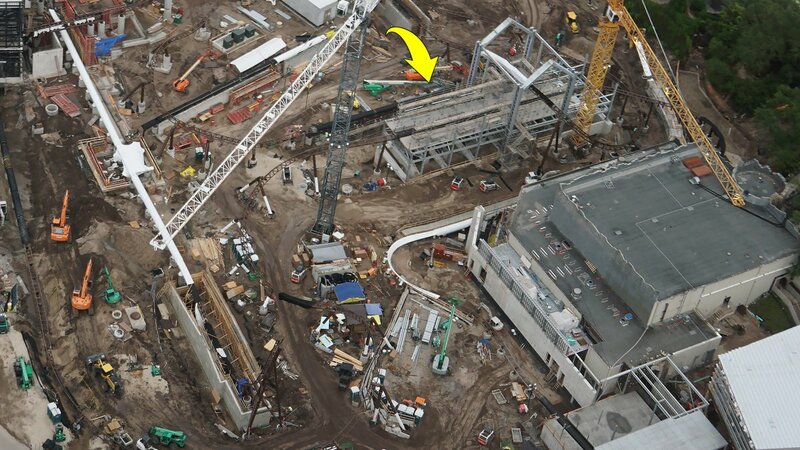 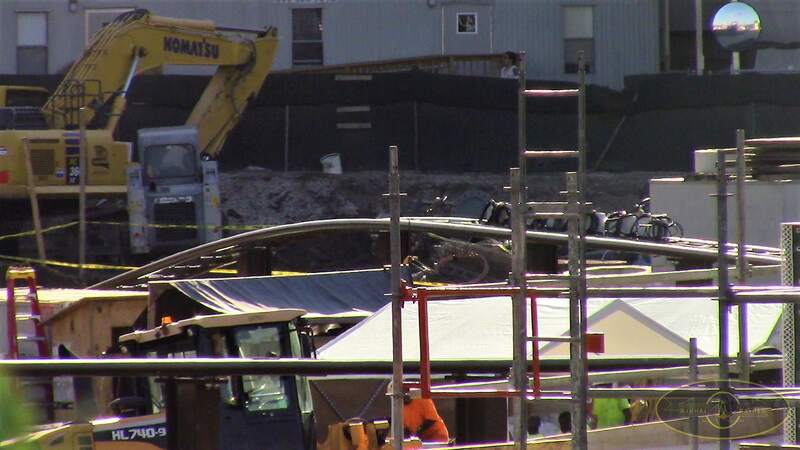 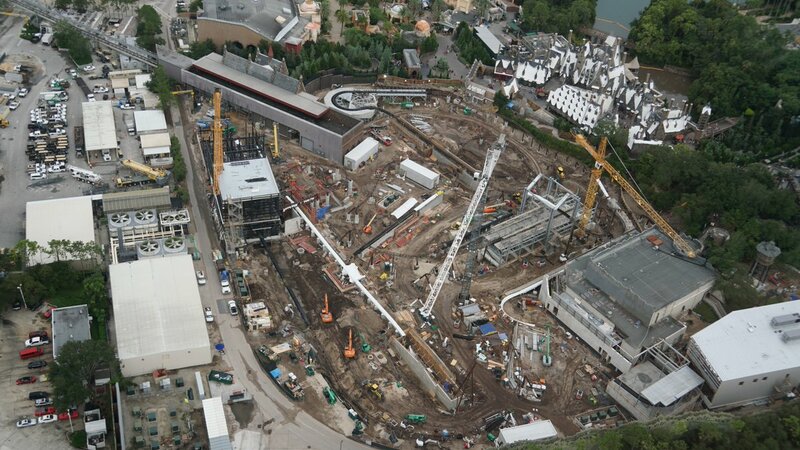 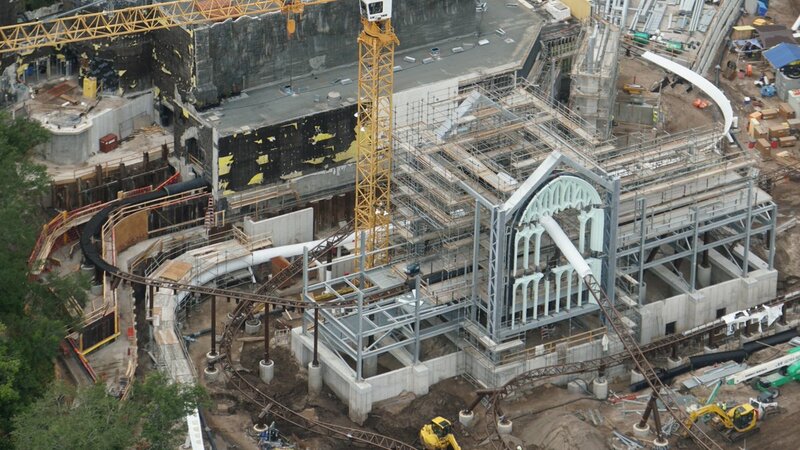 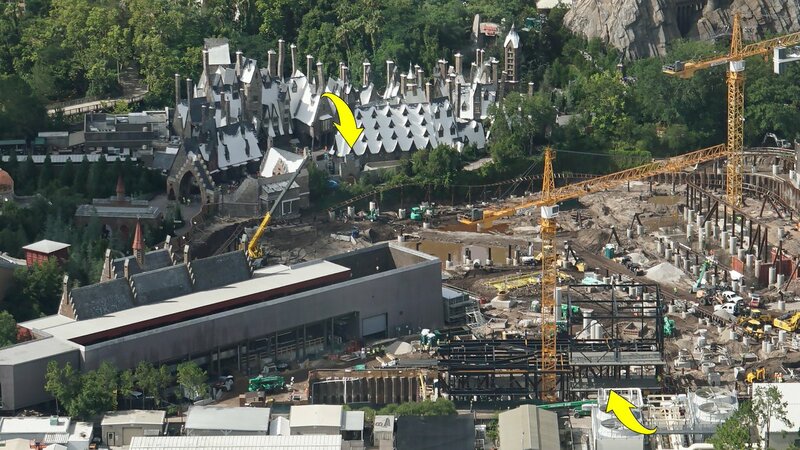 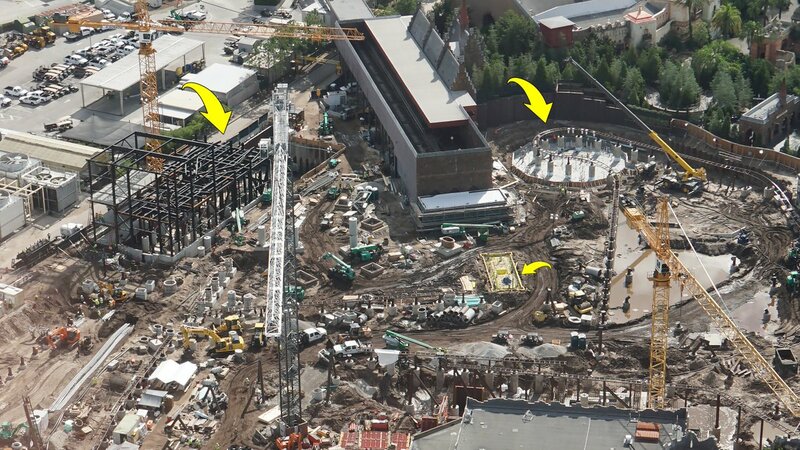 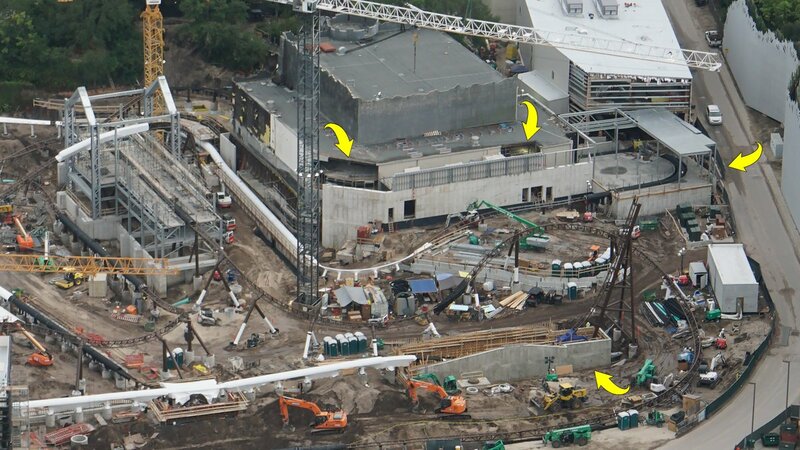 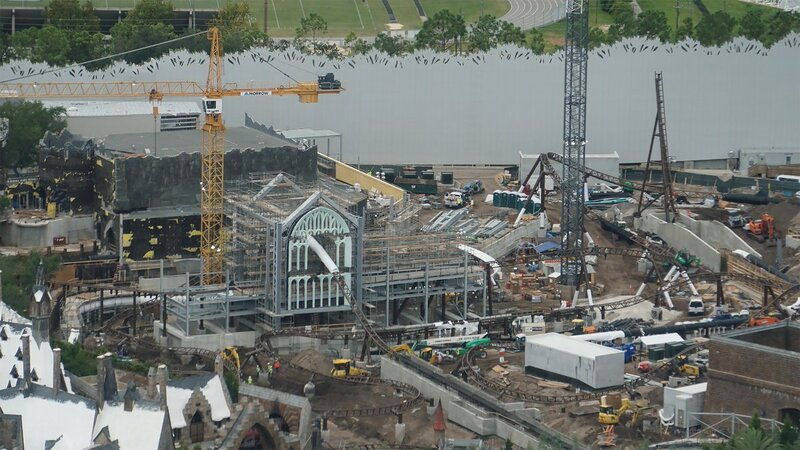 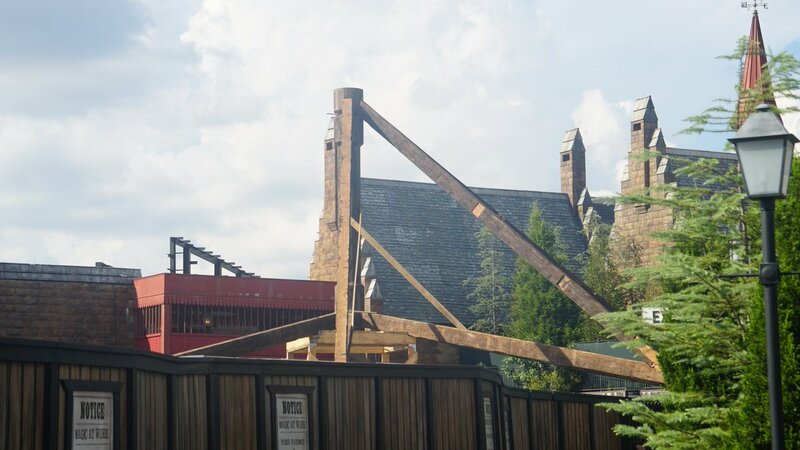 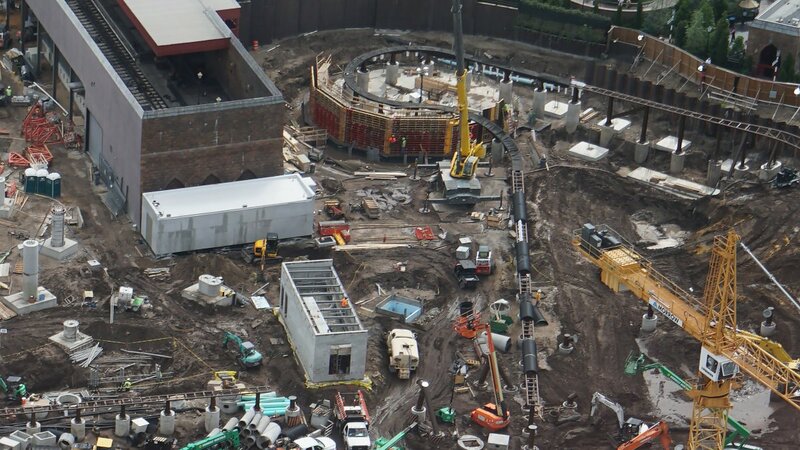 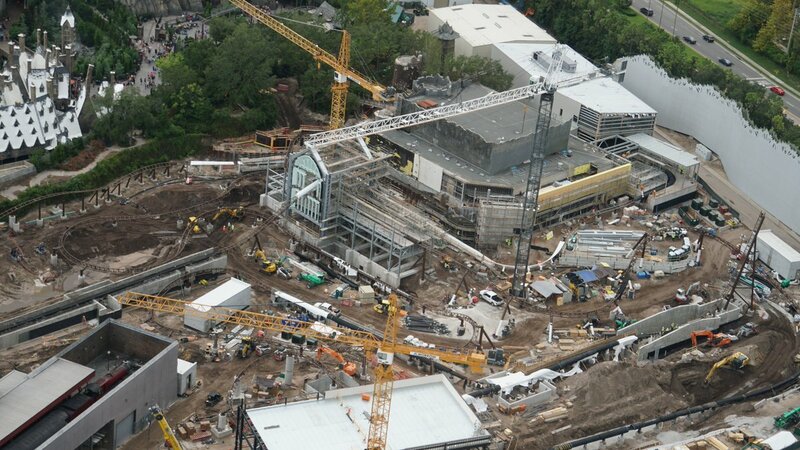 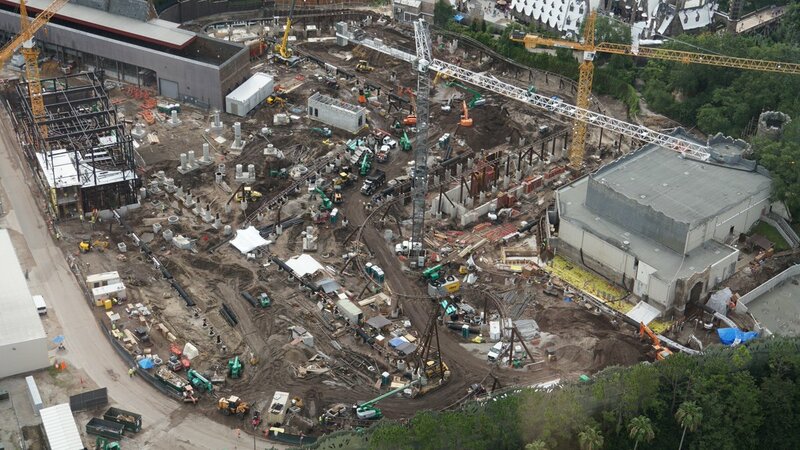 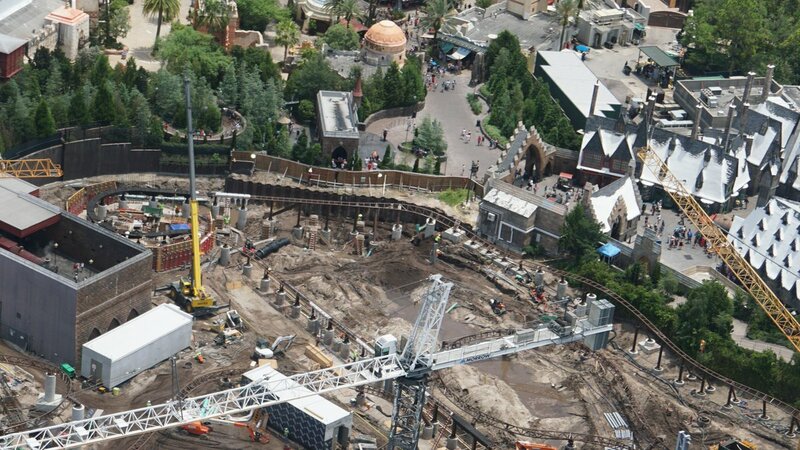 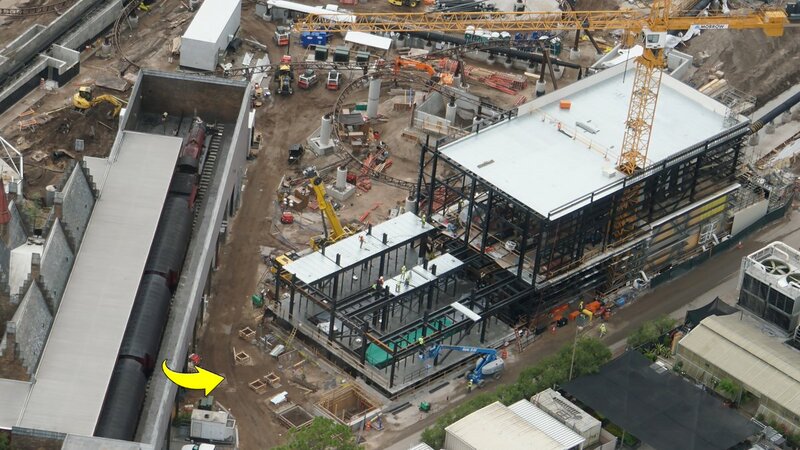 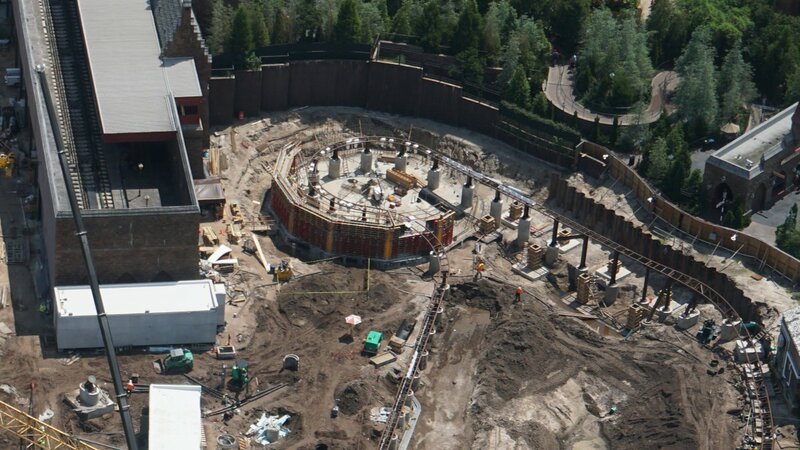 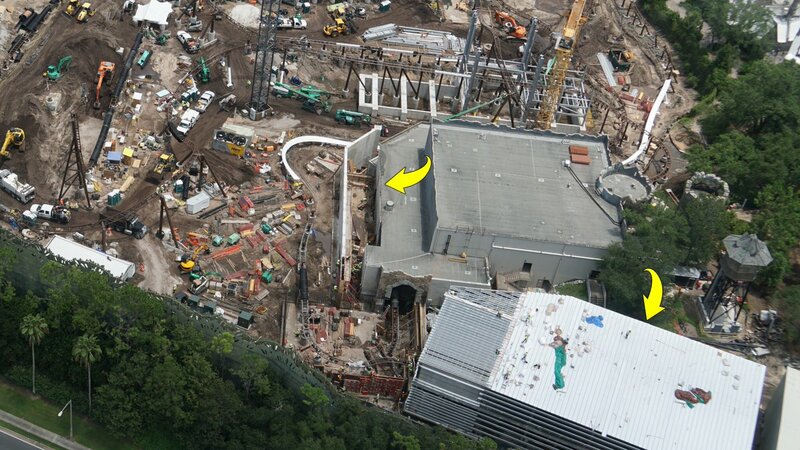 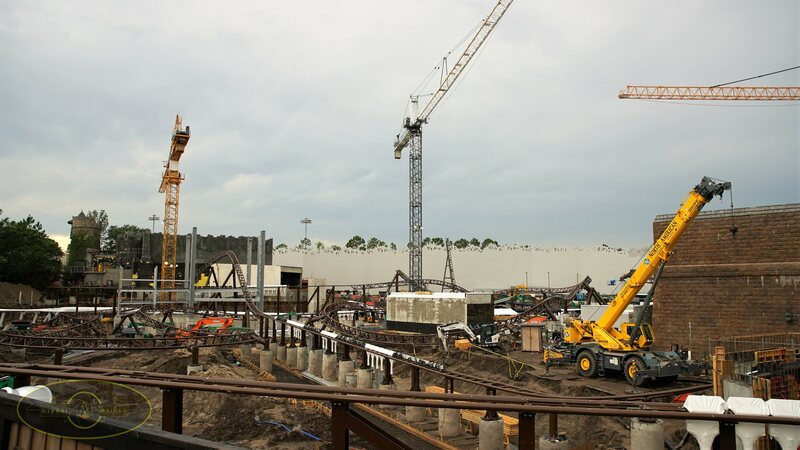 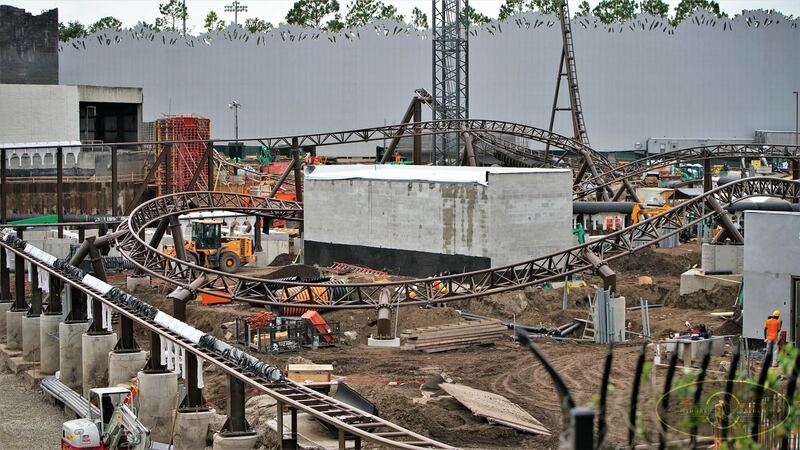 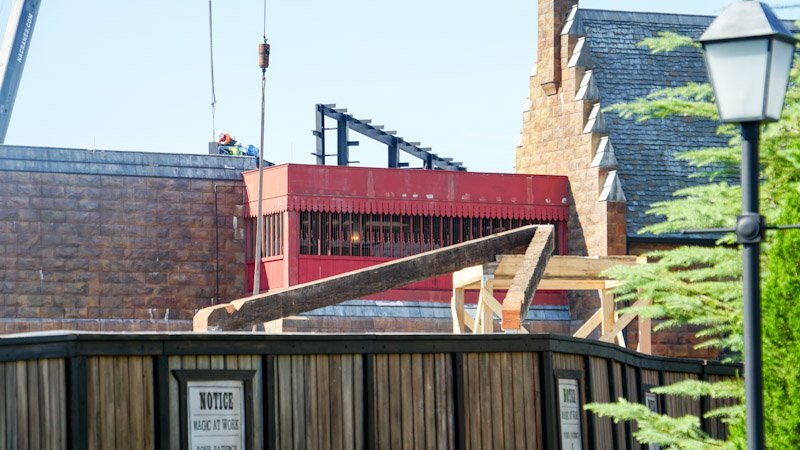 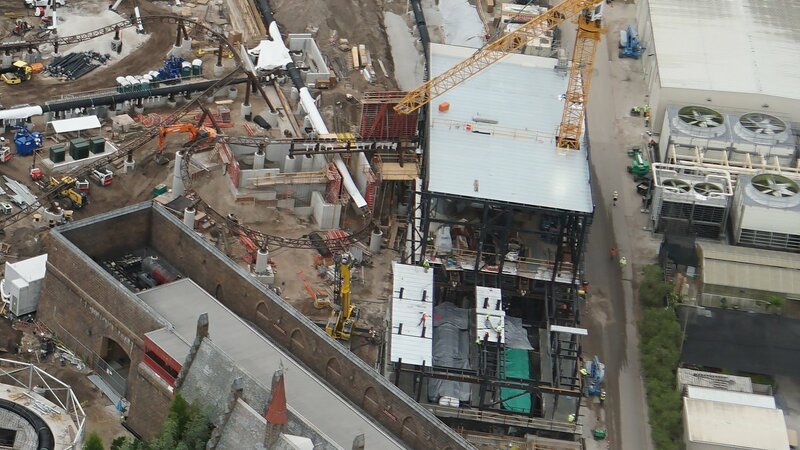 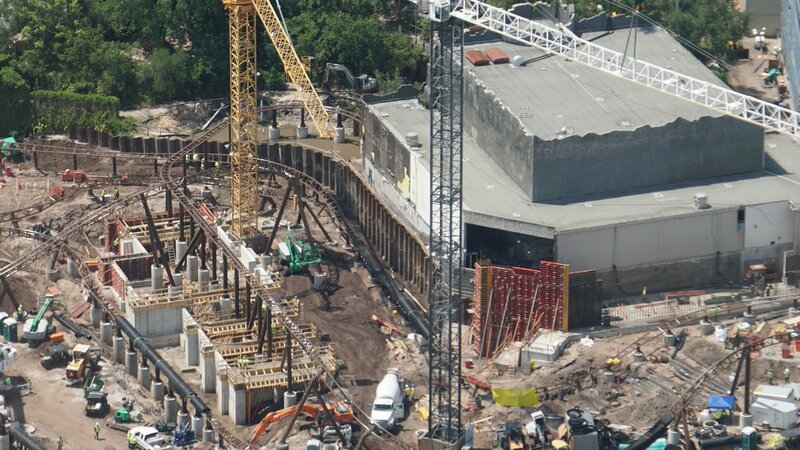 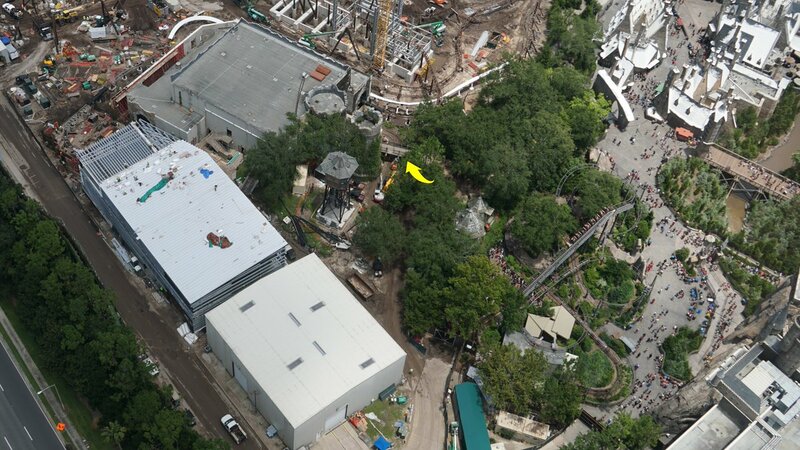 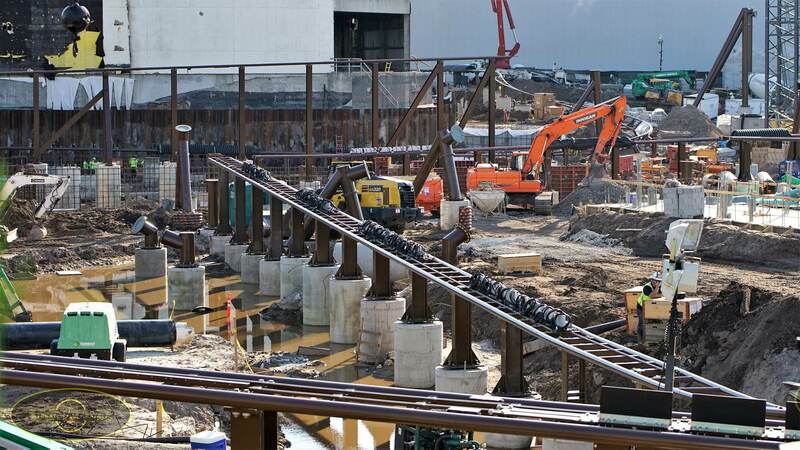 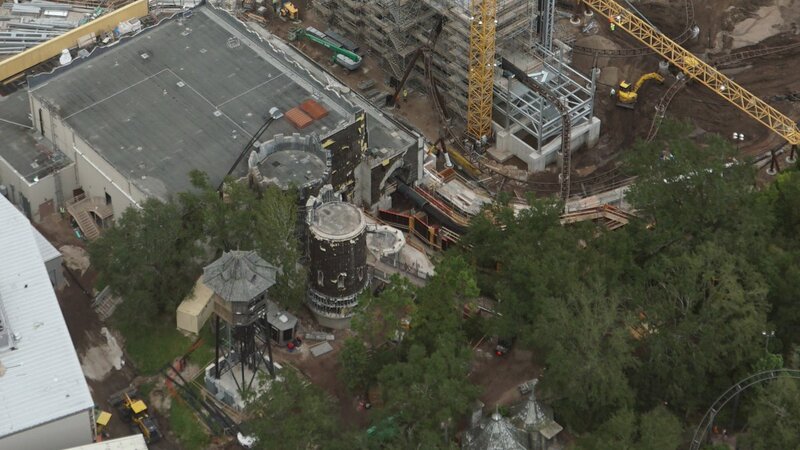 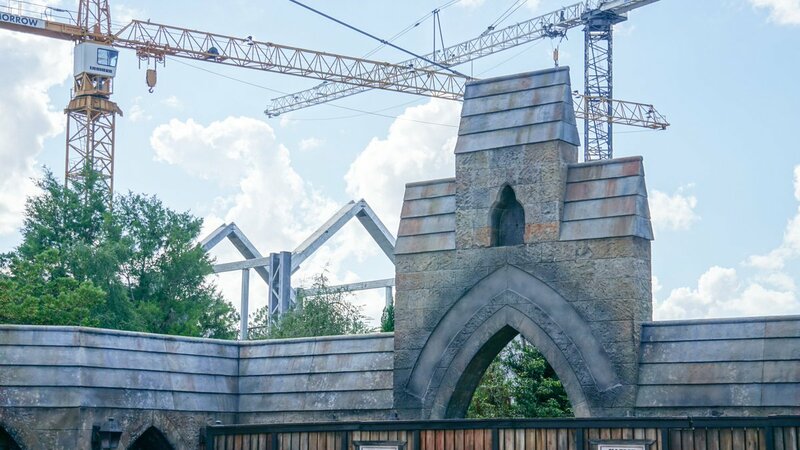 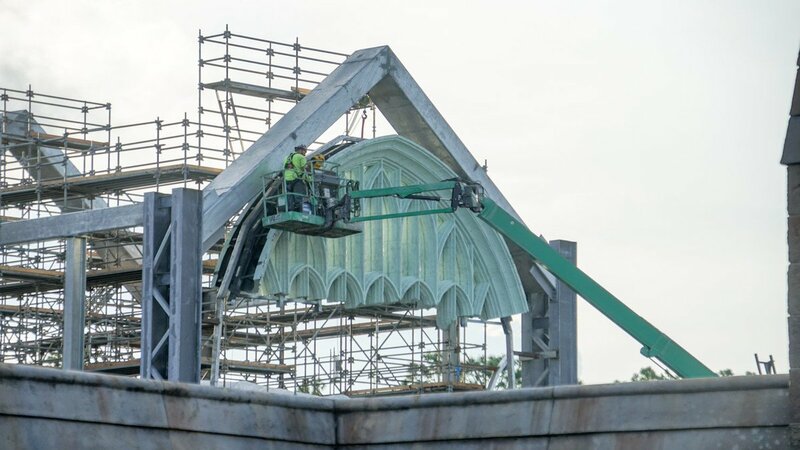 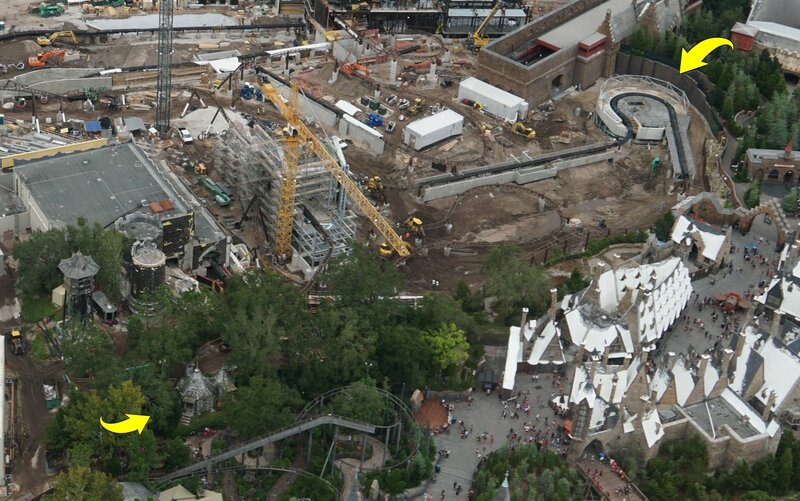 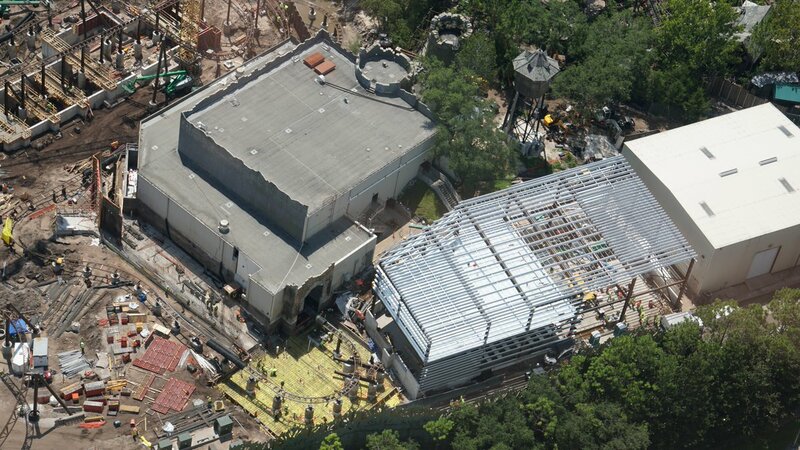 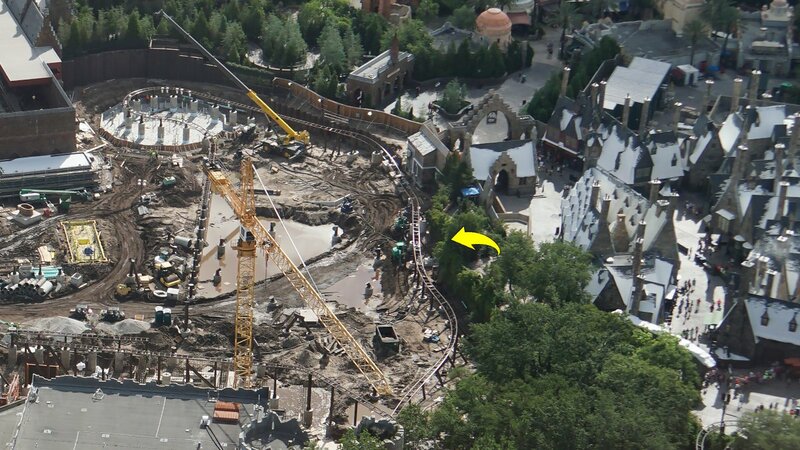 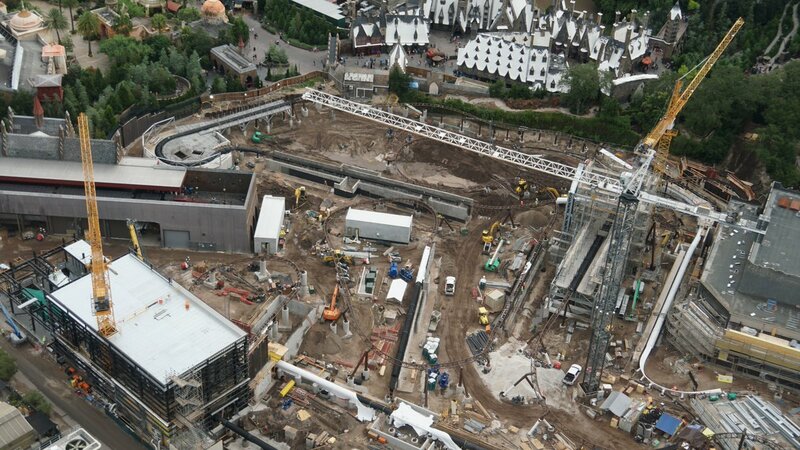 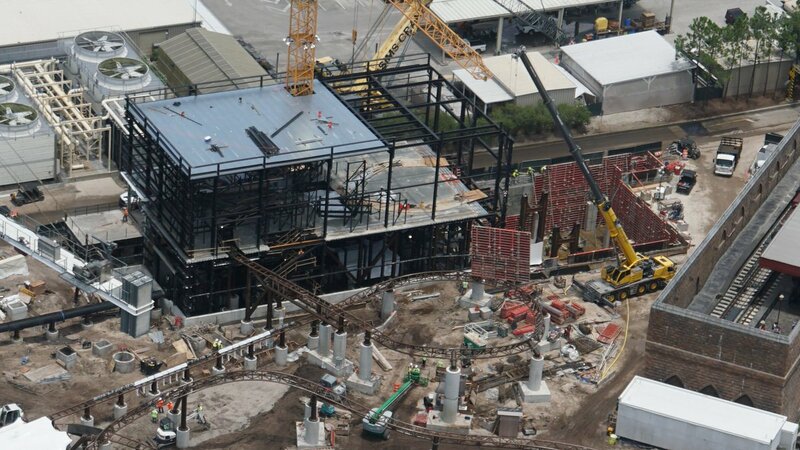 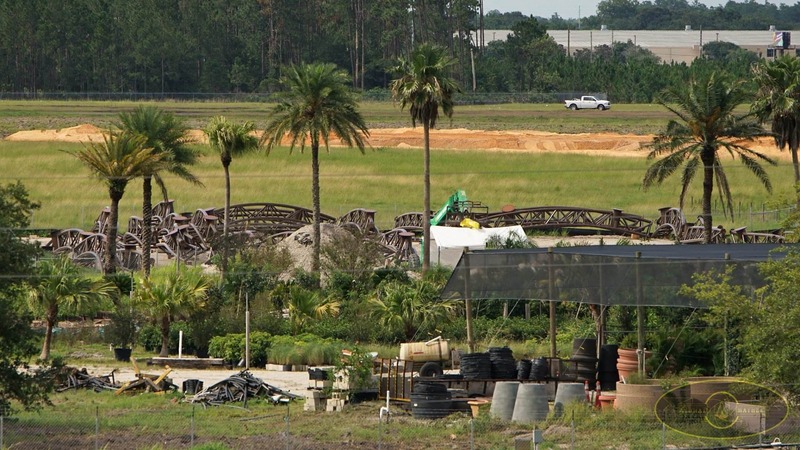 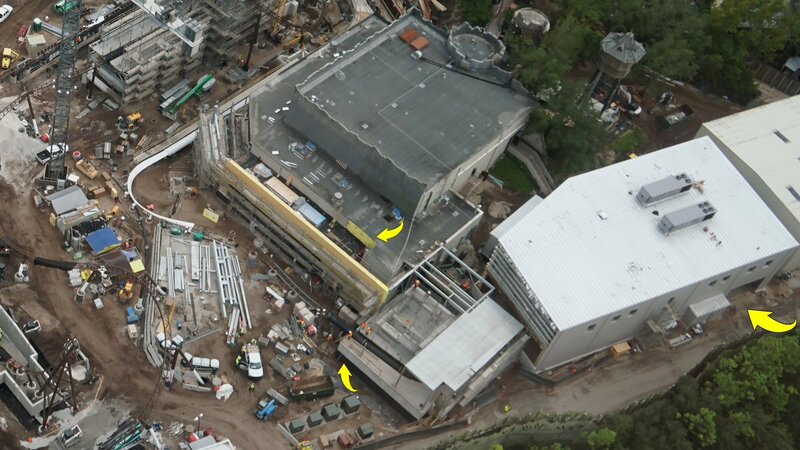 Harry Potter World coming to USH in 2016!